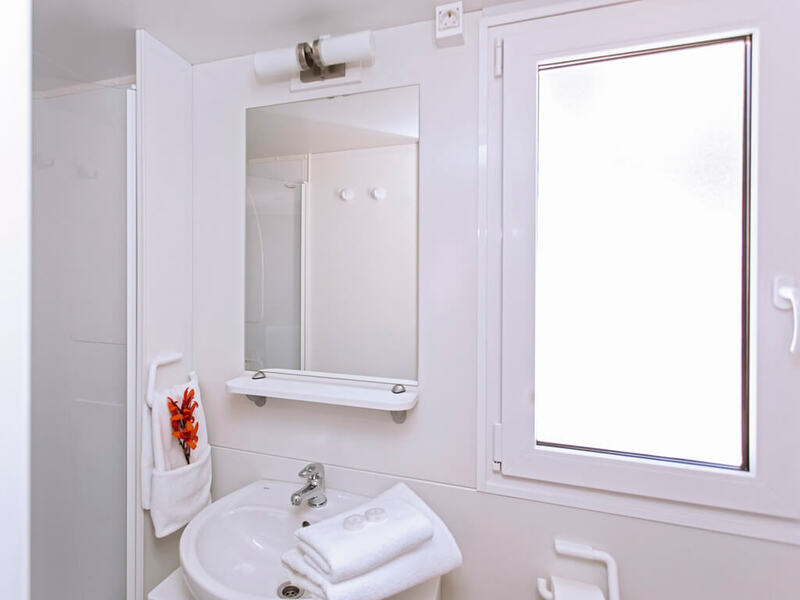 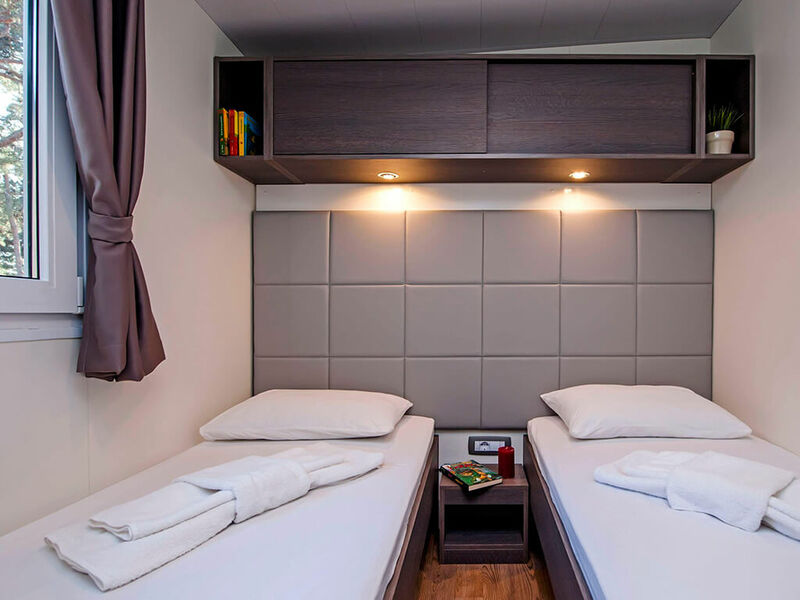 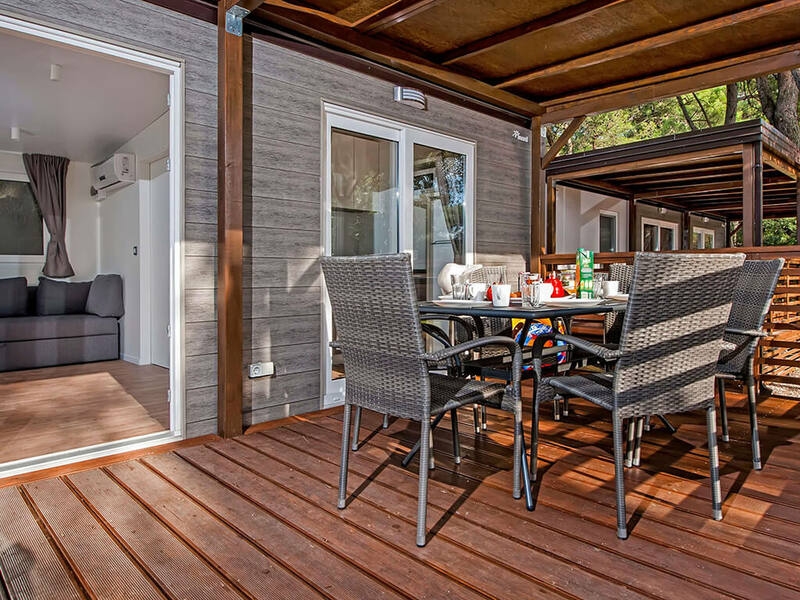 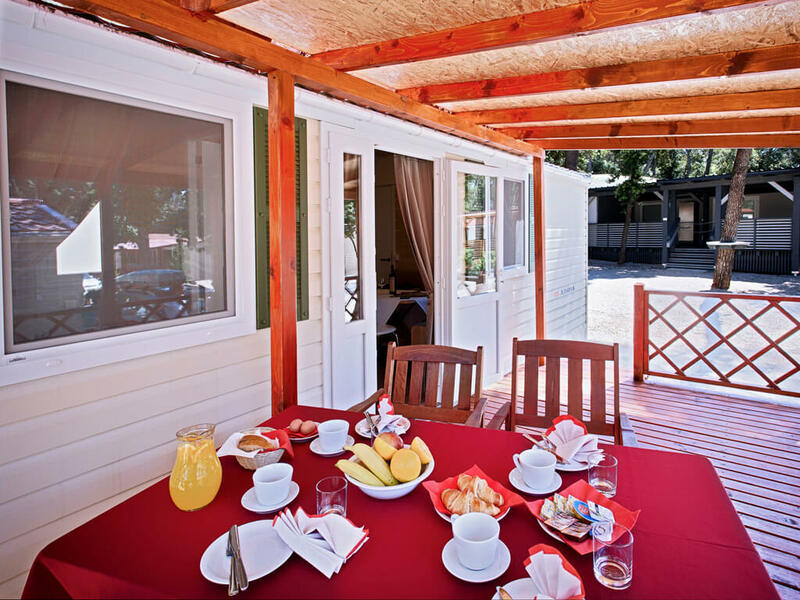 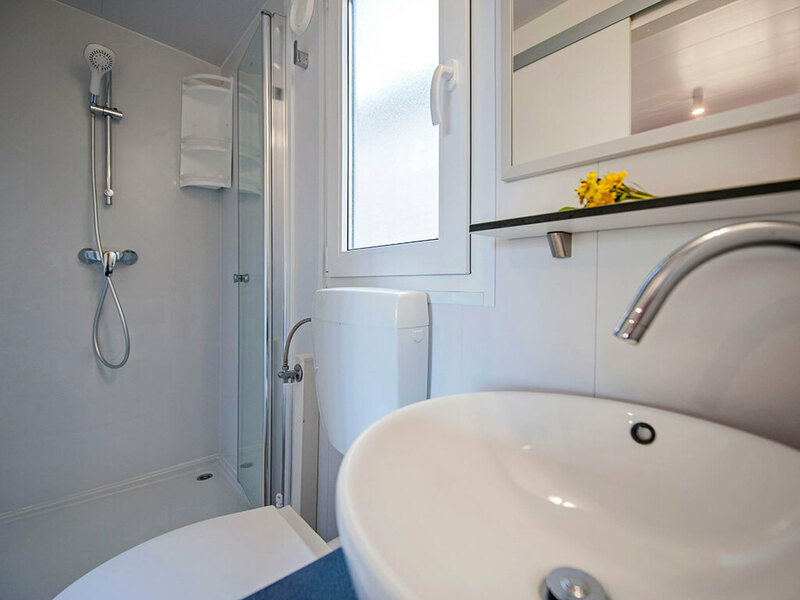 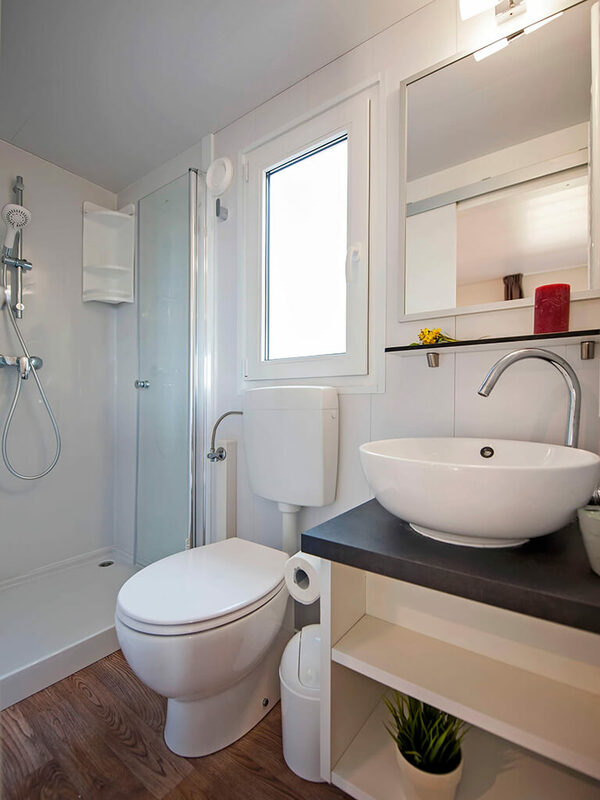 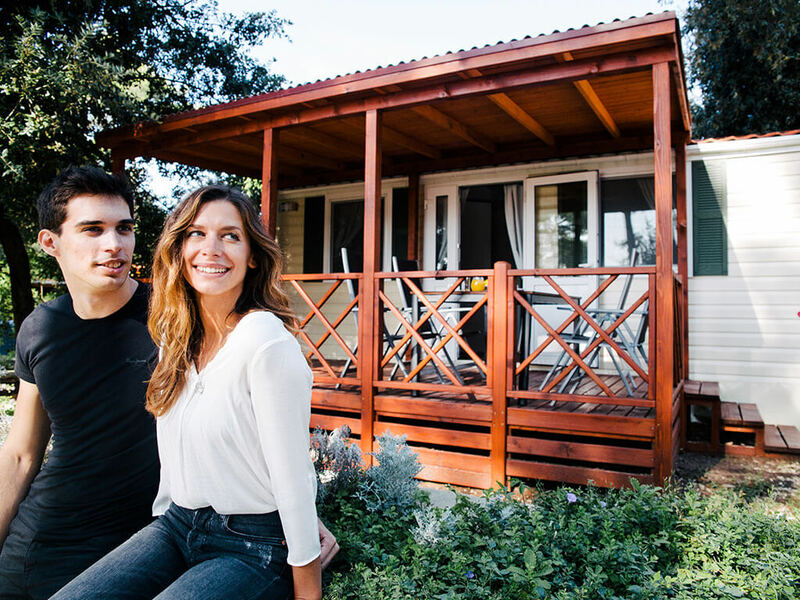 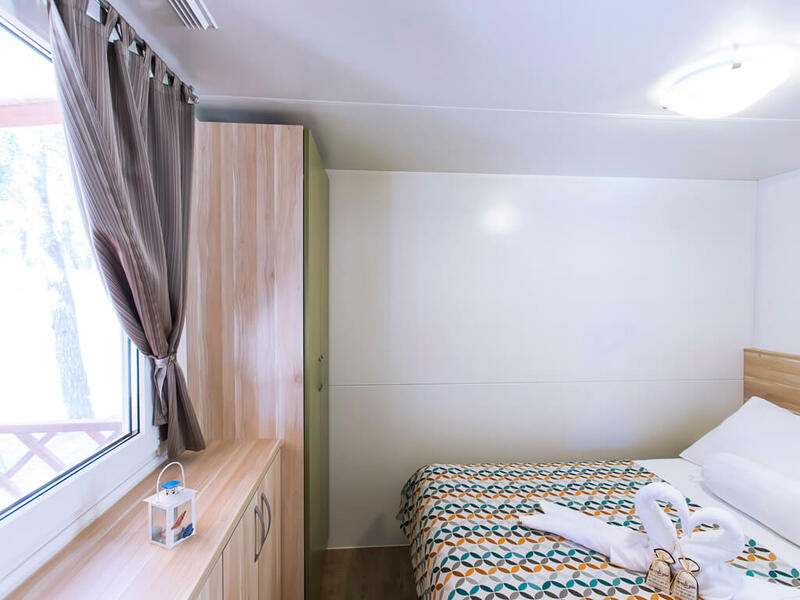 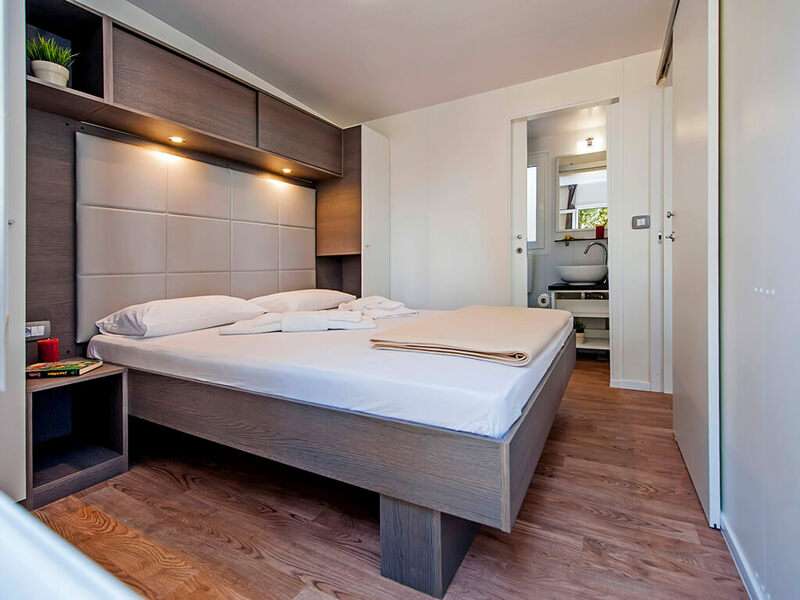 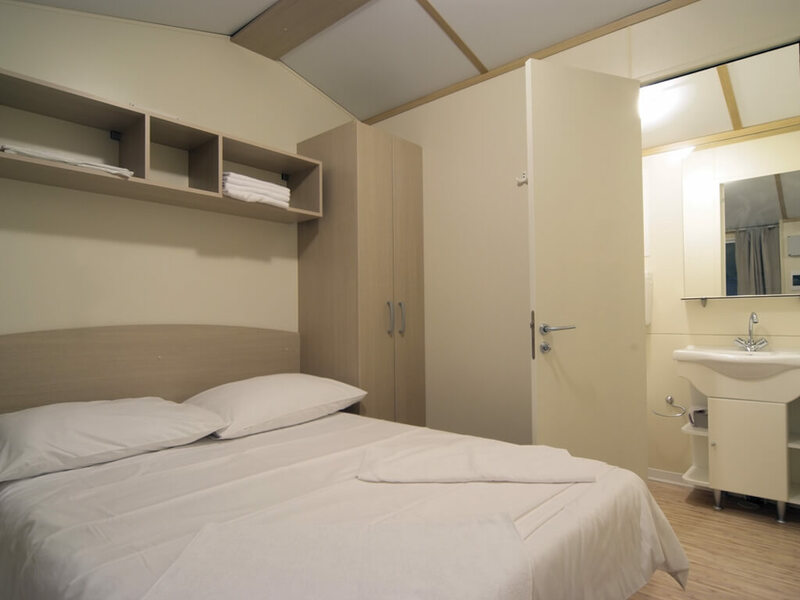 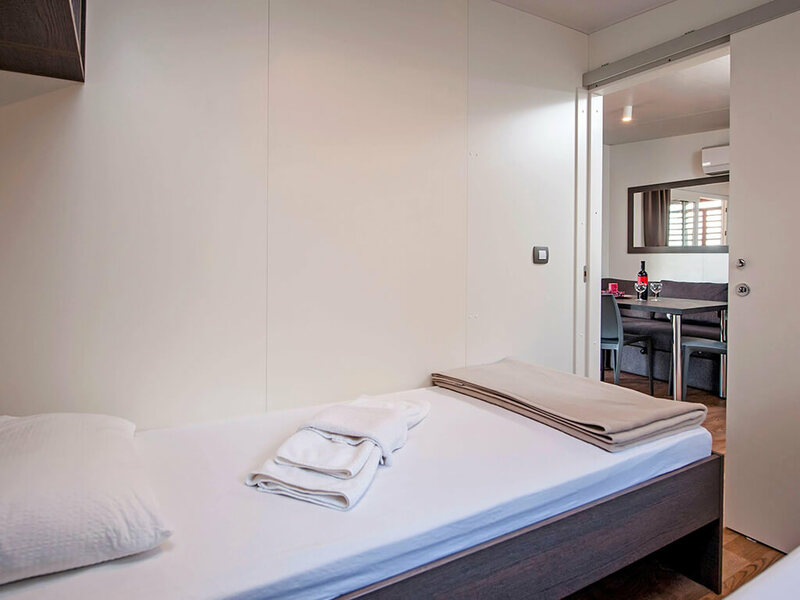 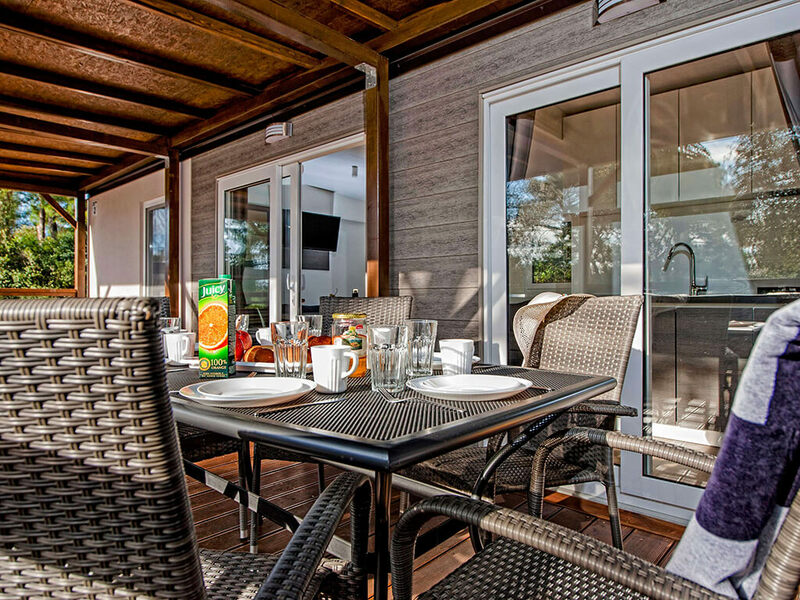 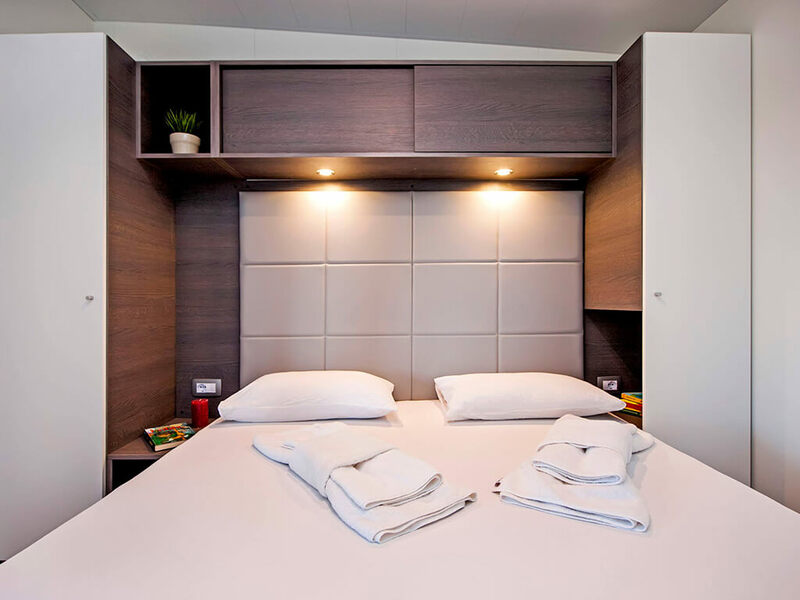 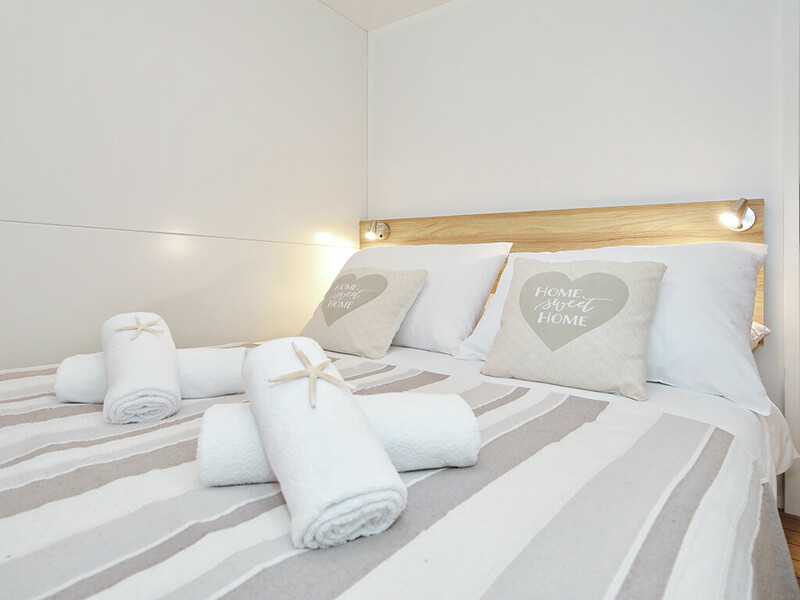 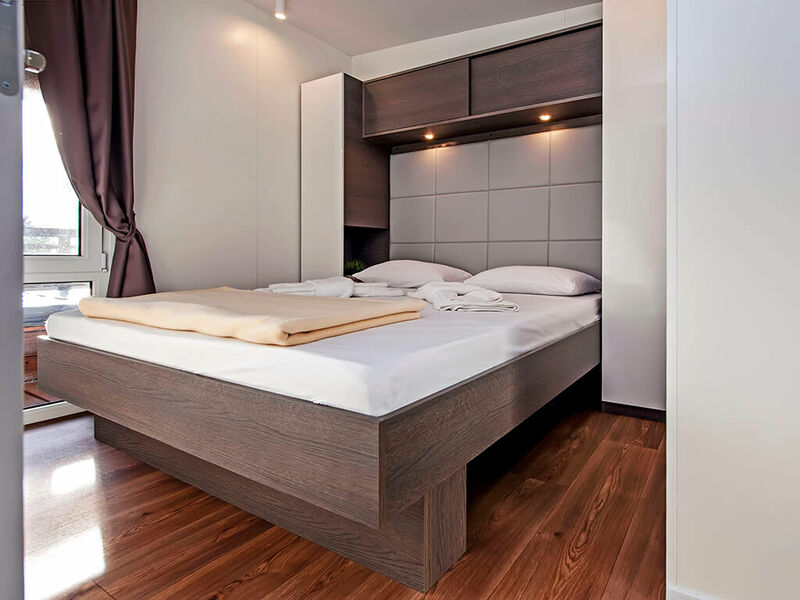 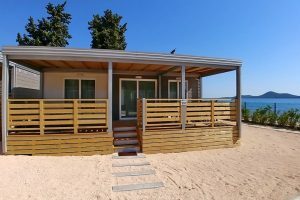 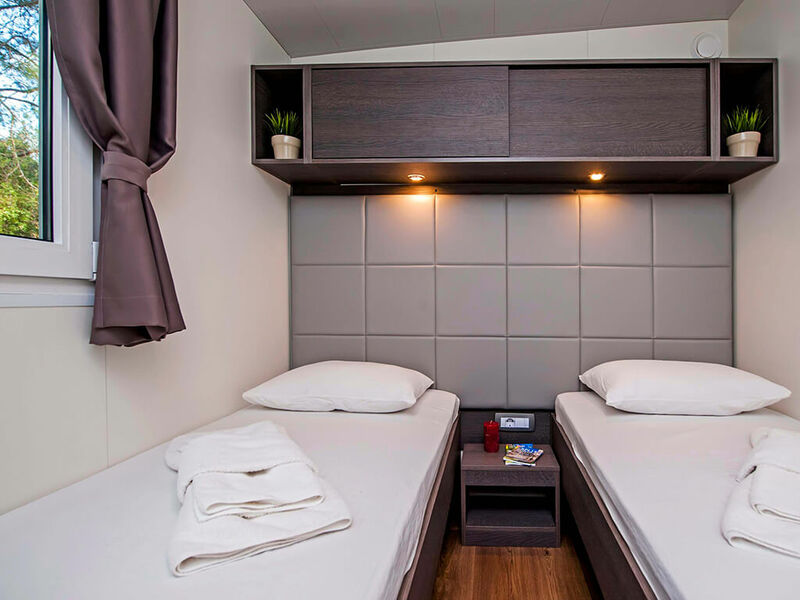 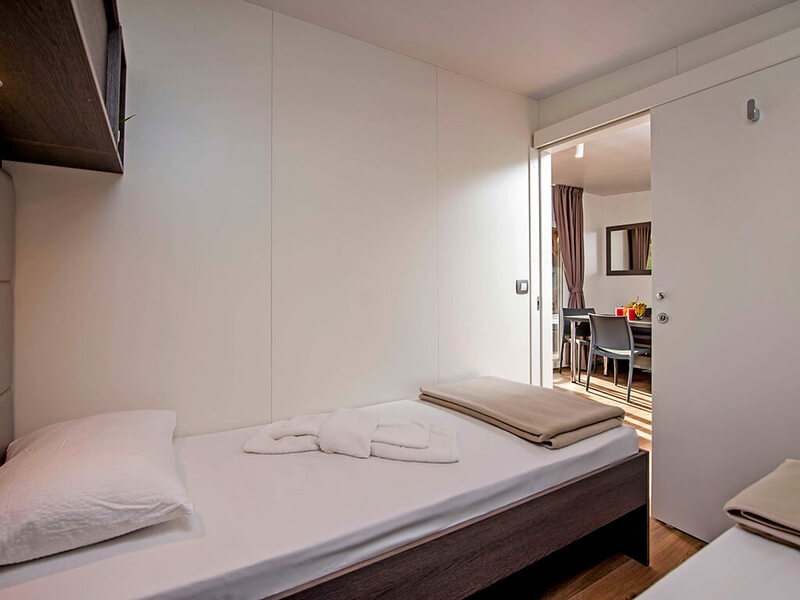 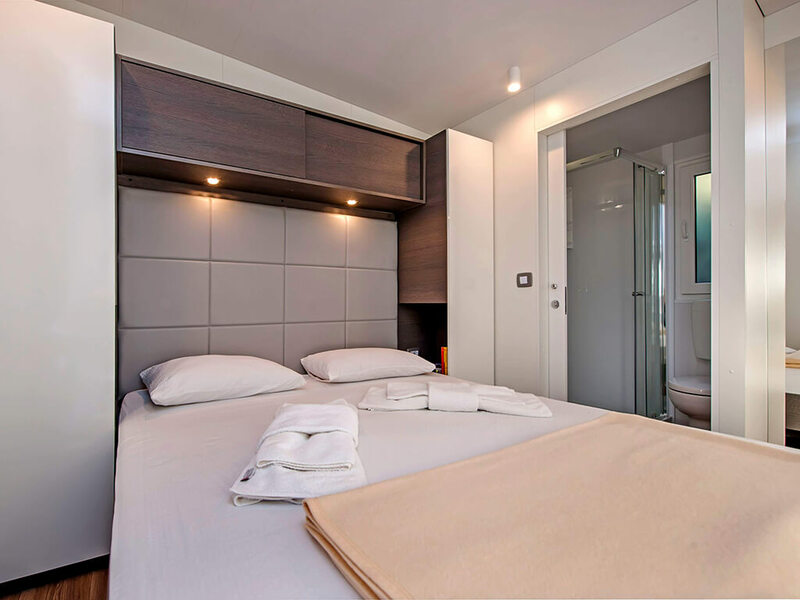 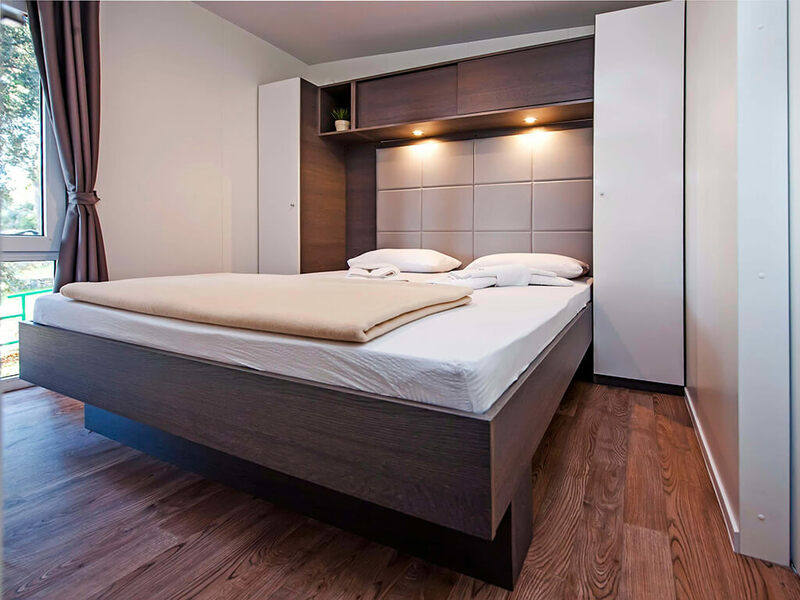 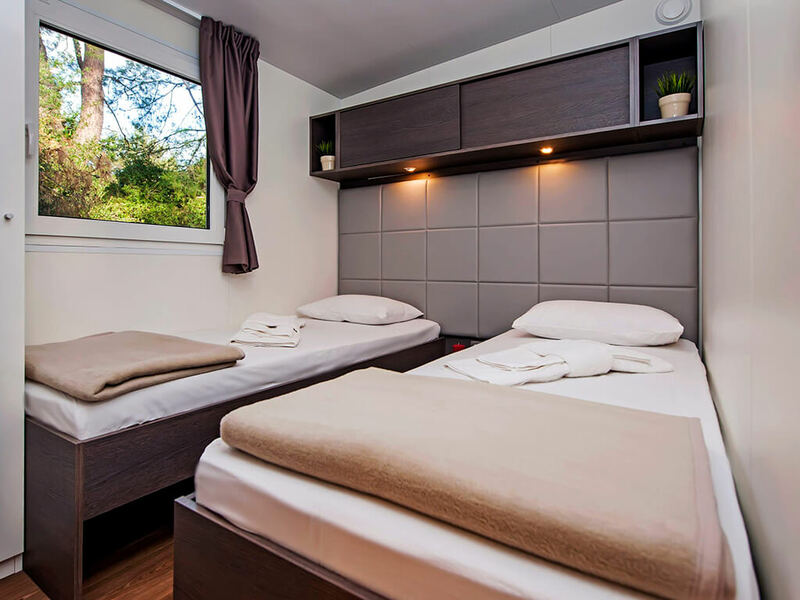 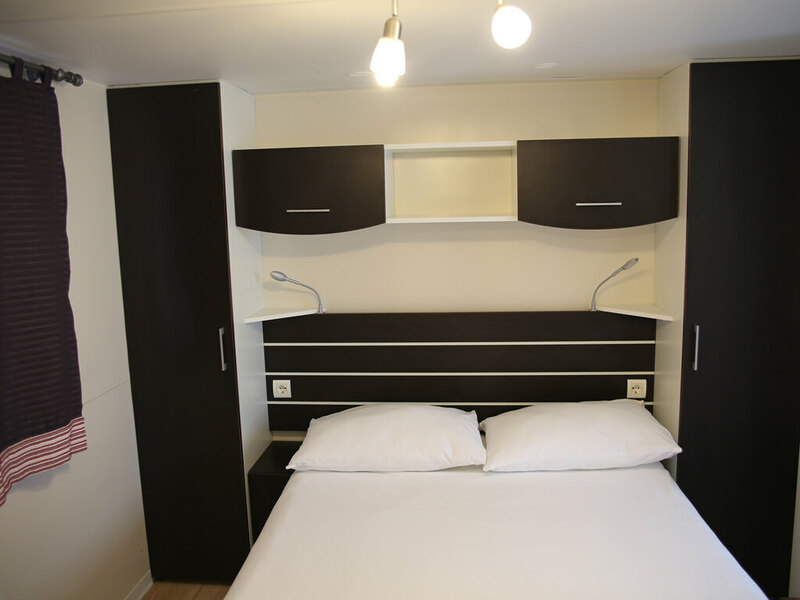 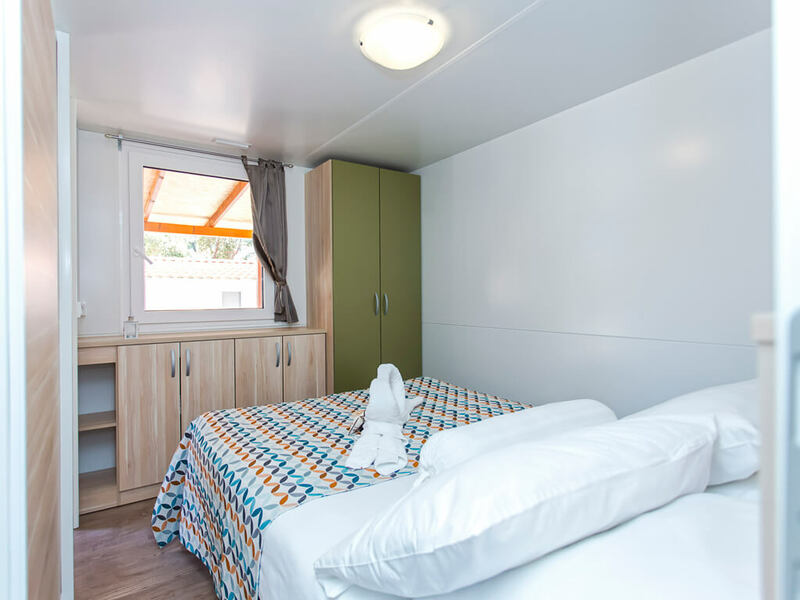 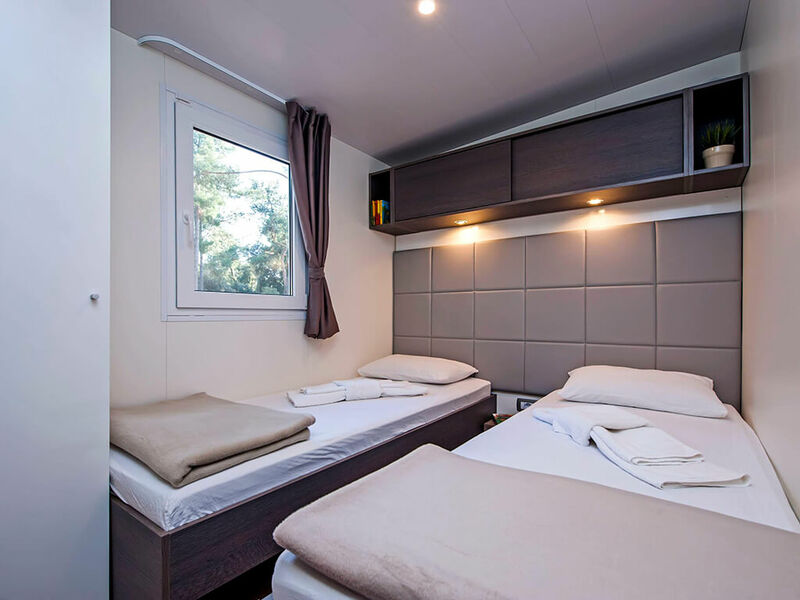 Due to their location in the close vicinity of the town centre, mobile homes in Biograd na Moru are ideal for all types of holidays – for two, team building, and sports weekends with friends and with family. 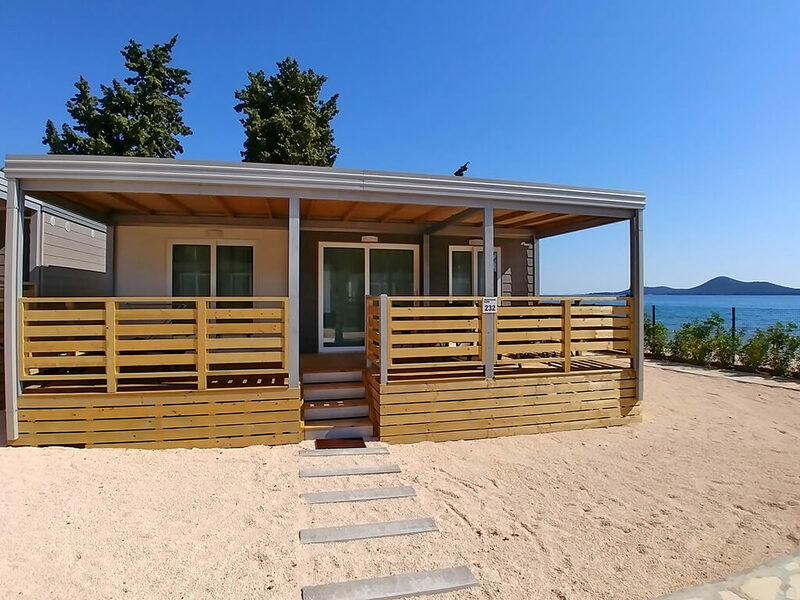 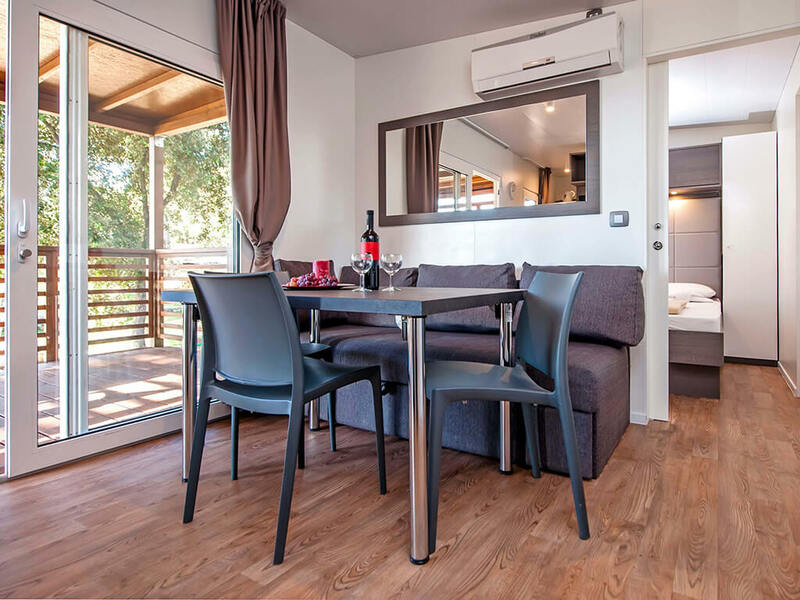 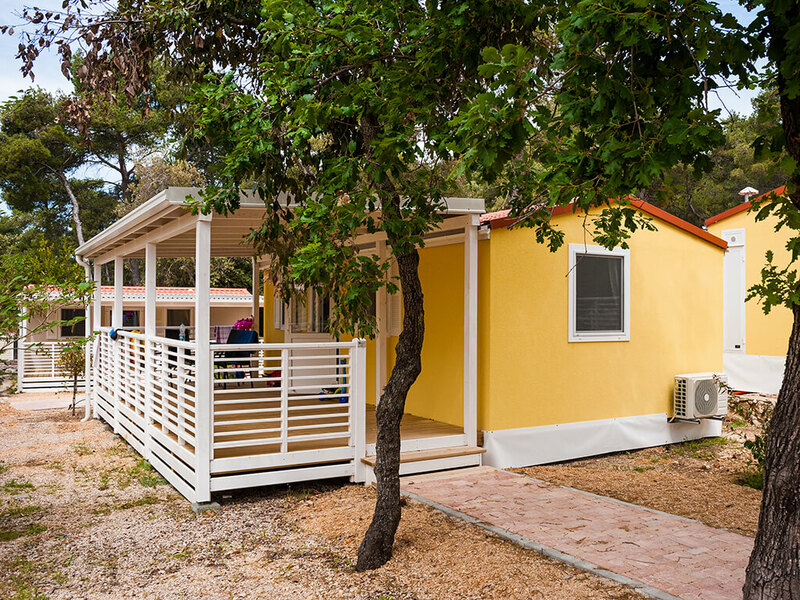 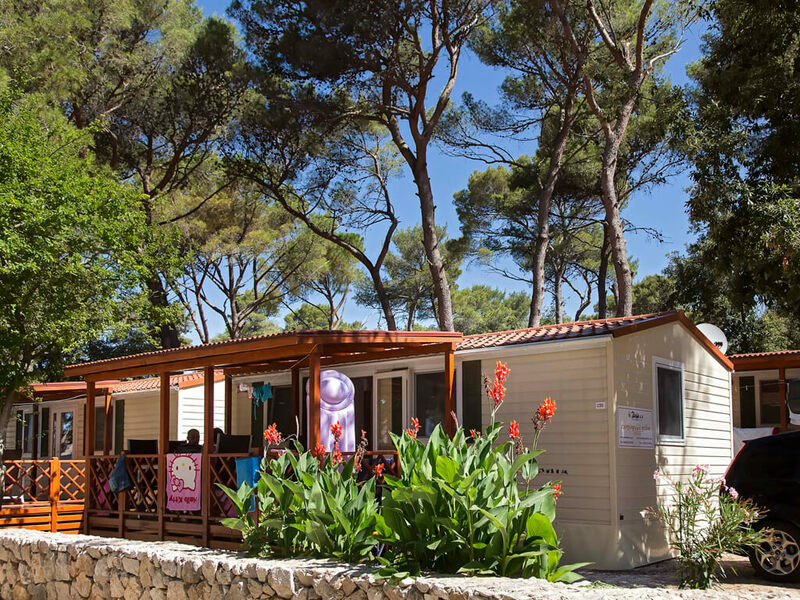 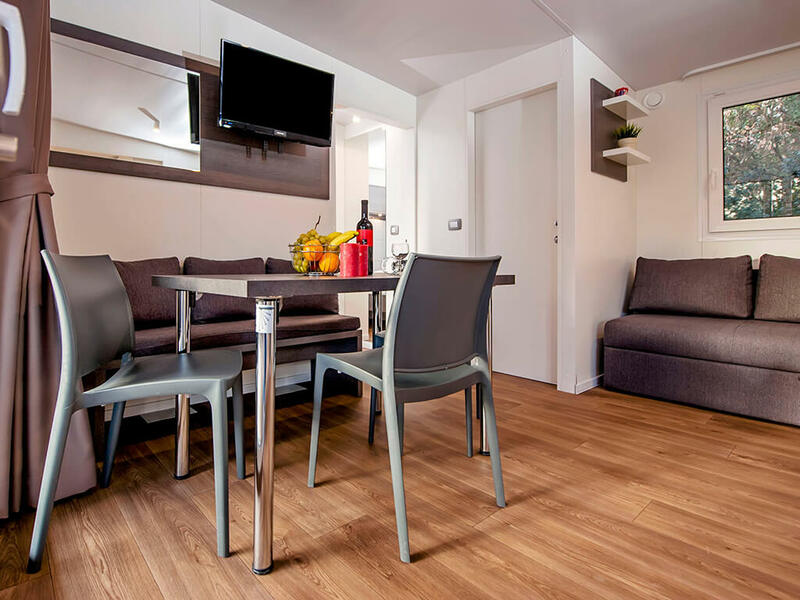 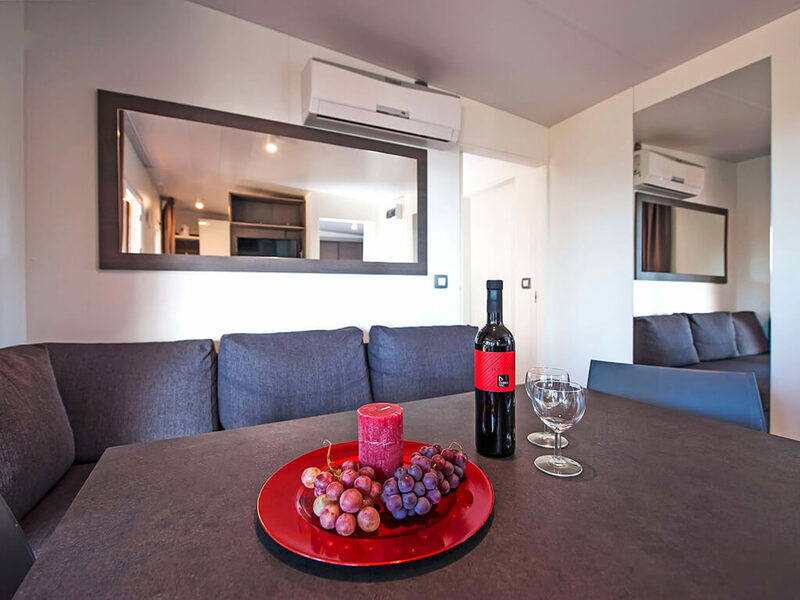 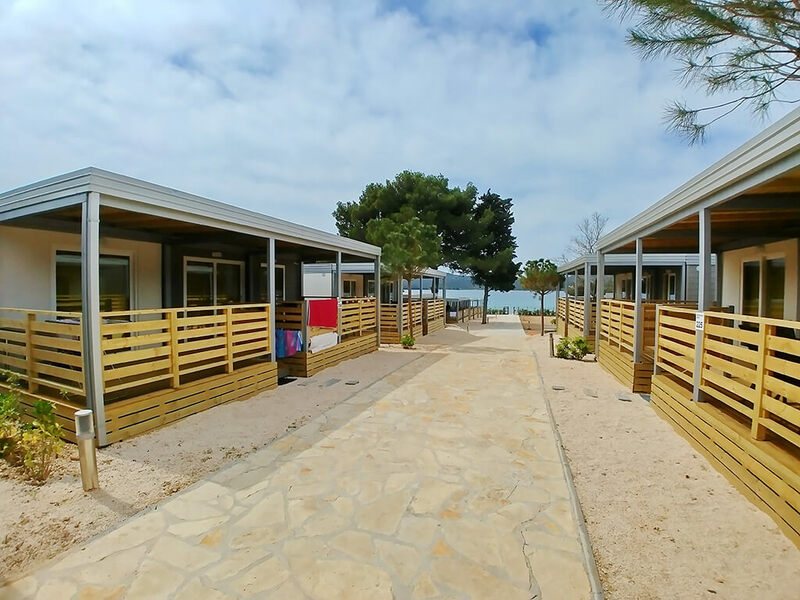 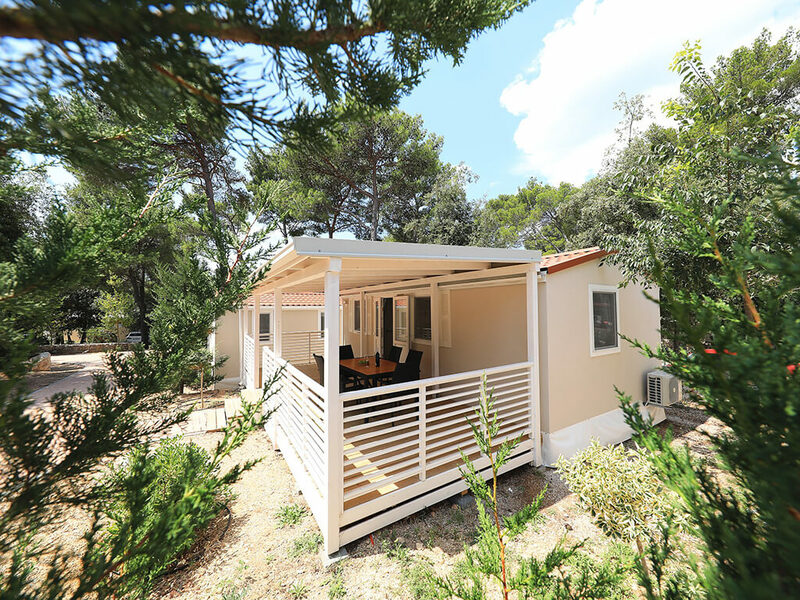 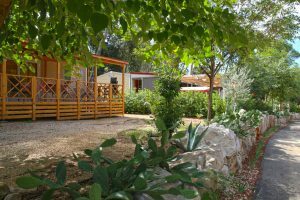 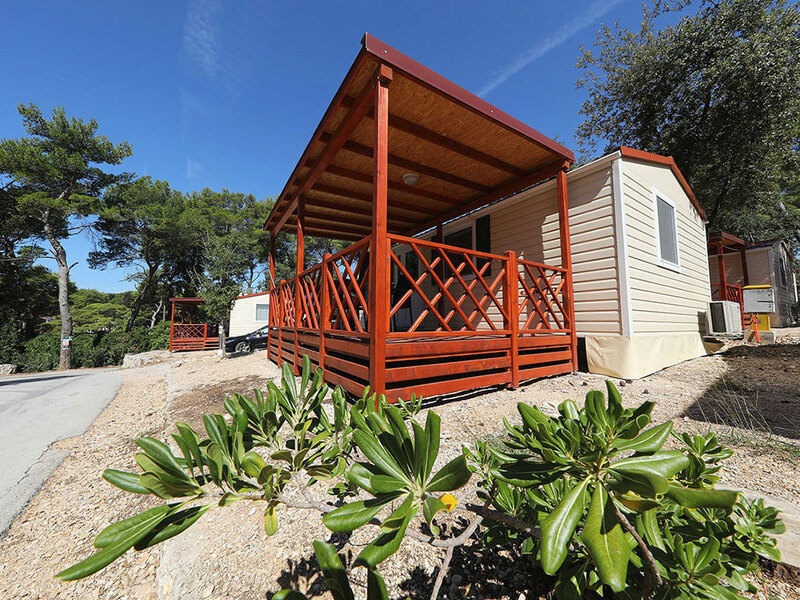 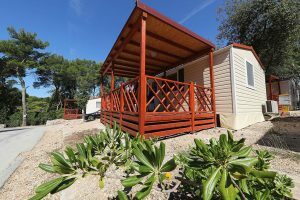 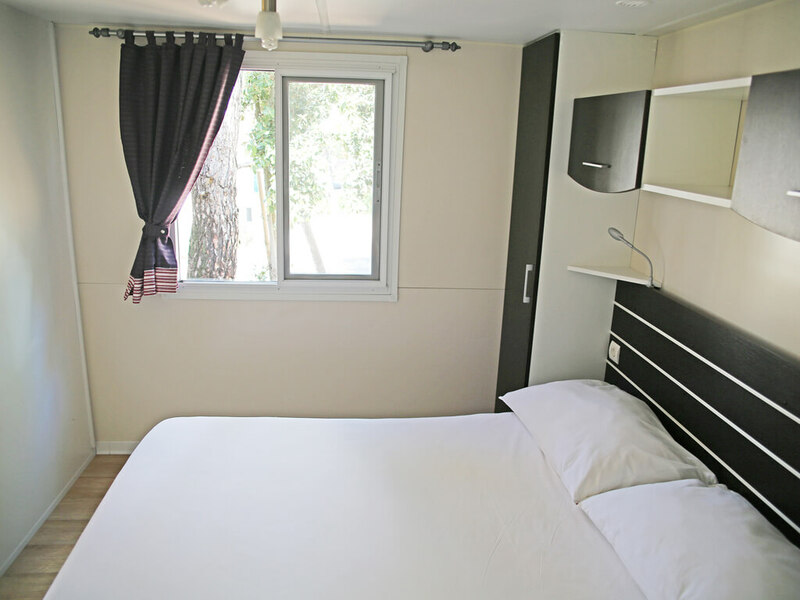 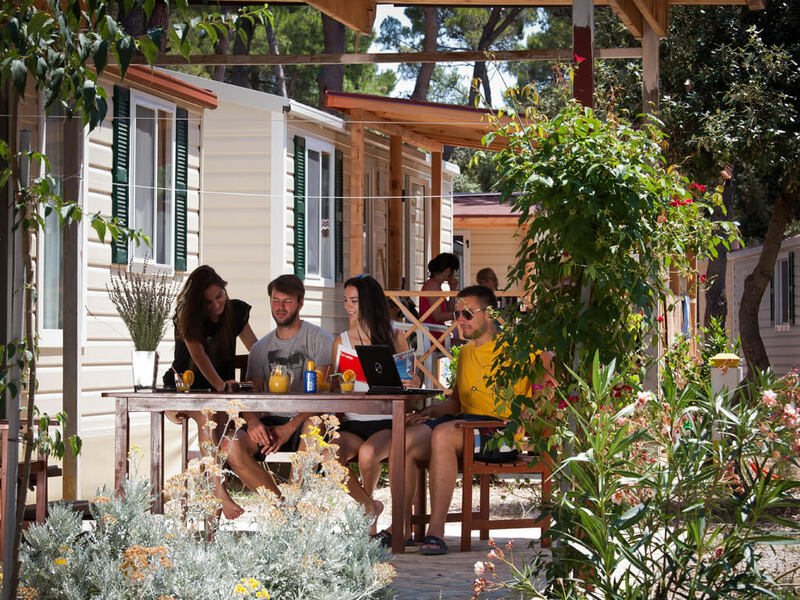 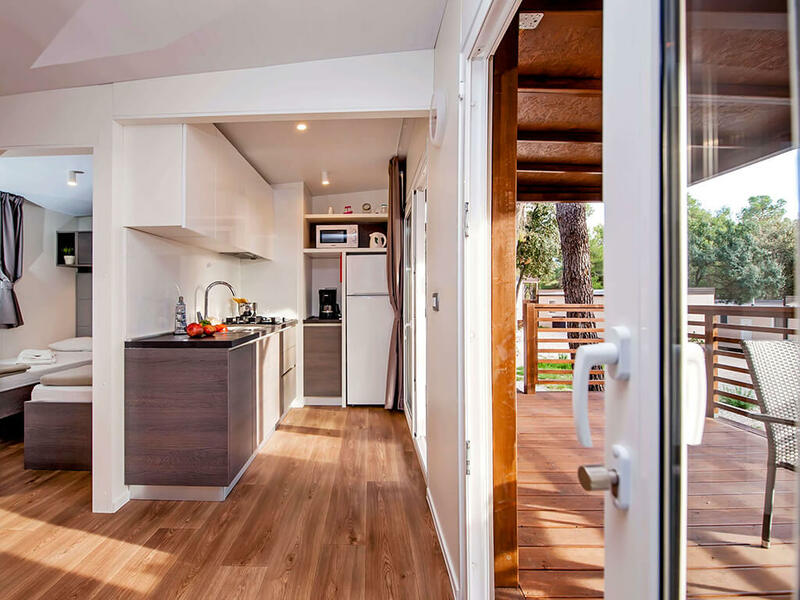 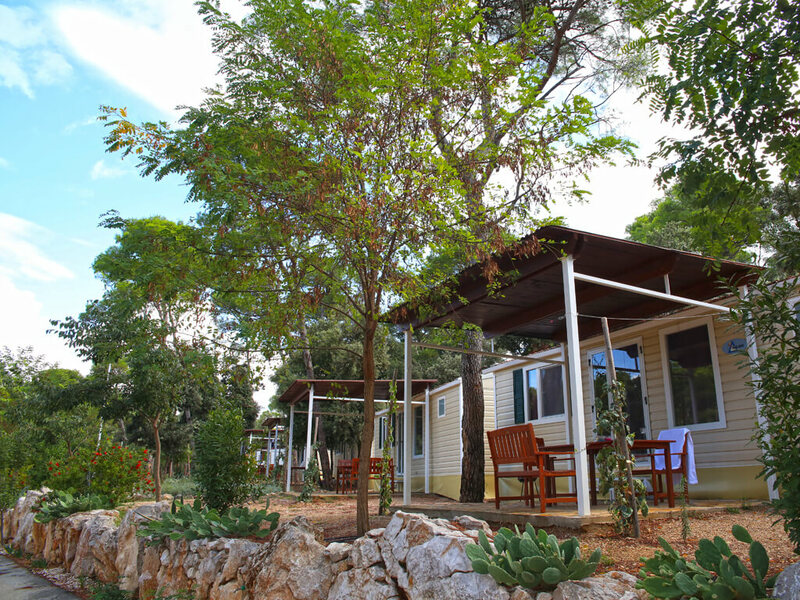 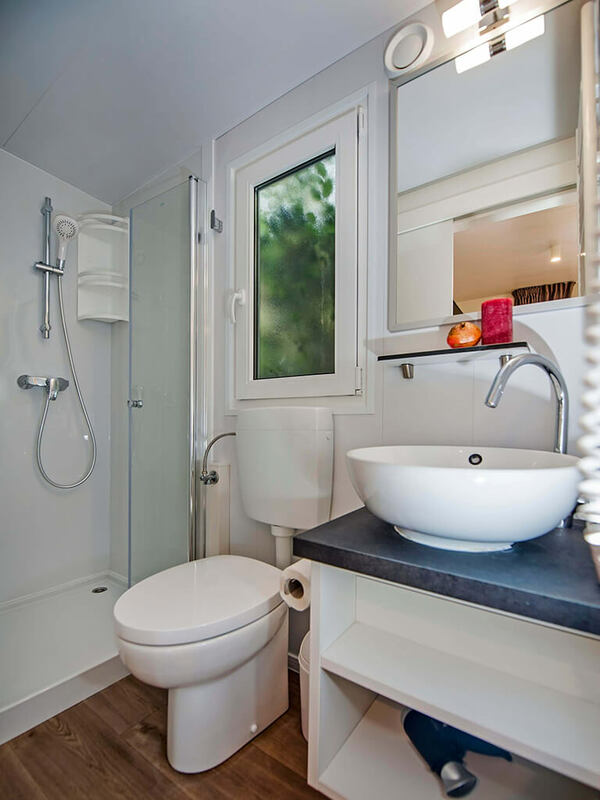 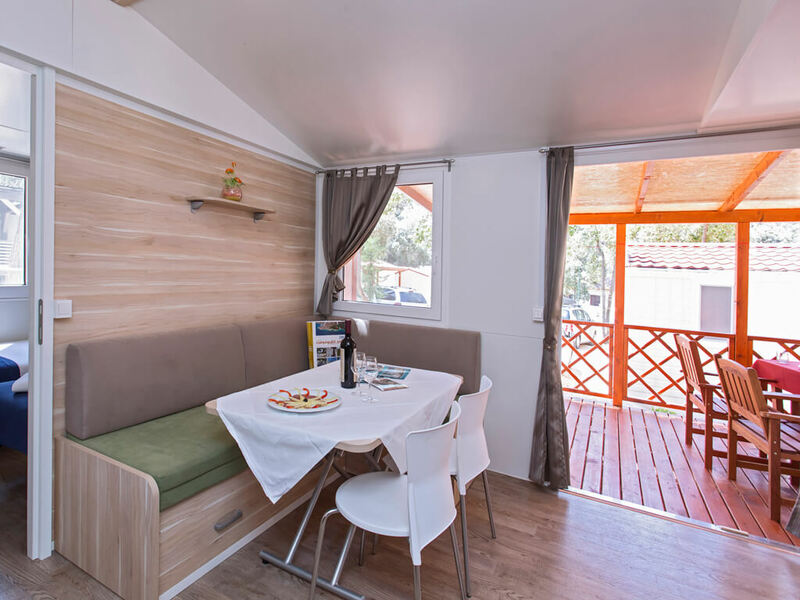 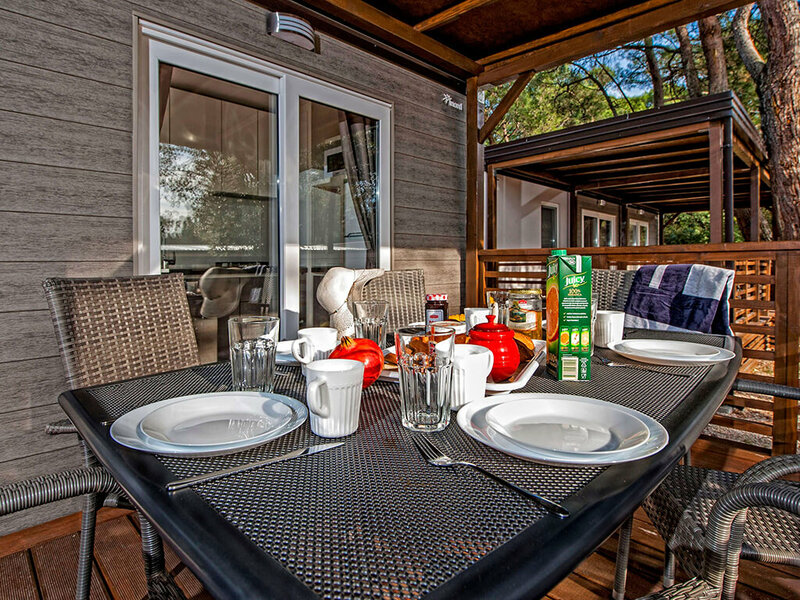 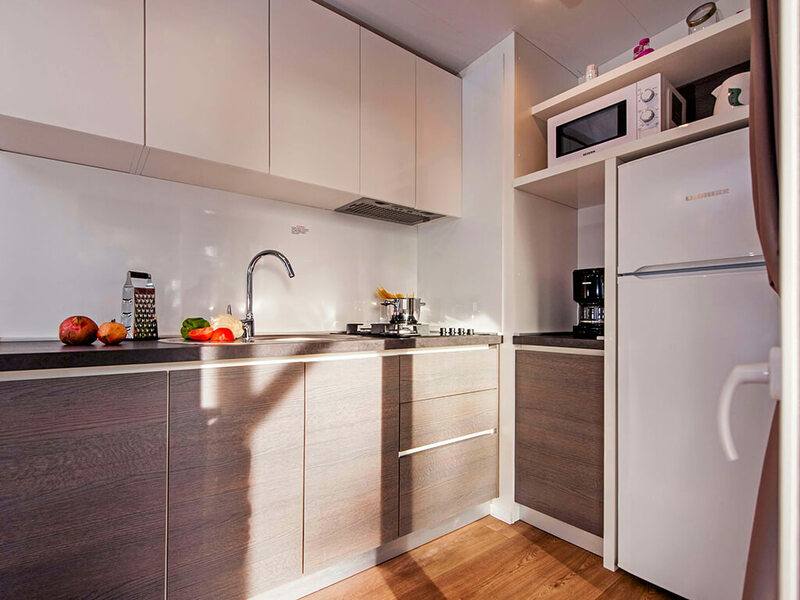 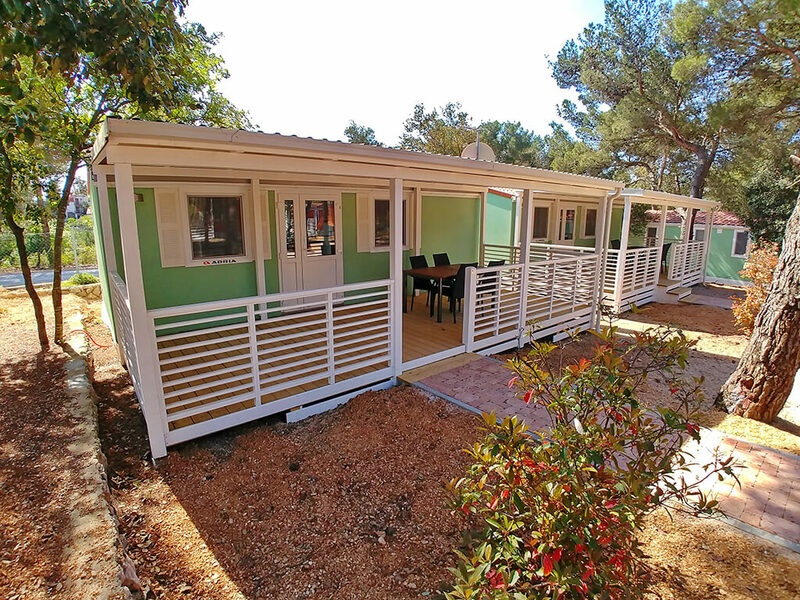 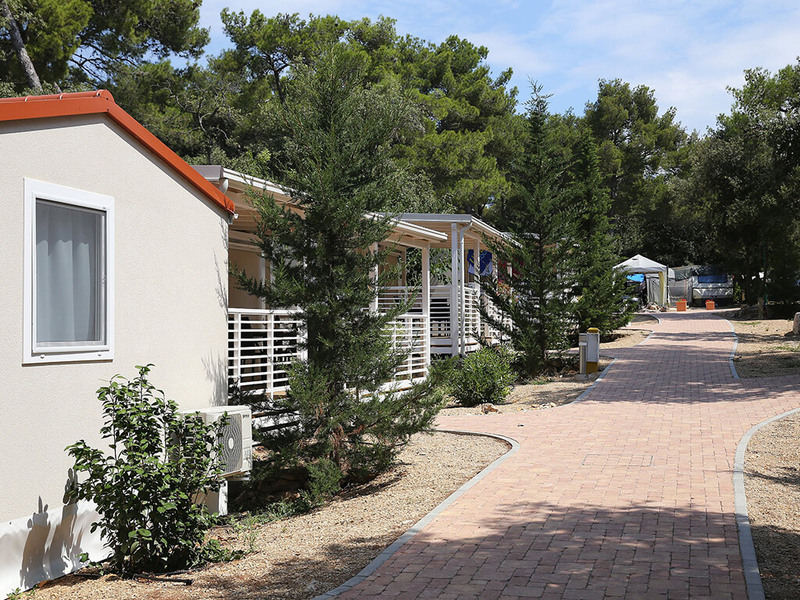 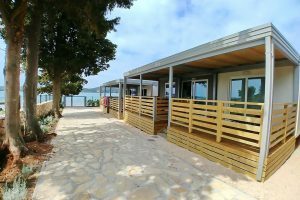 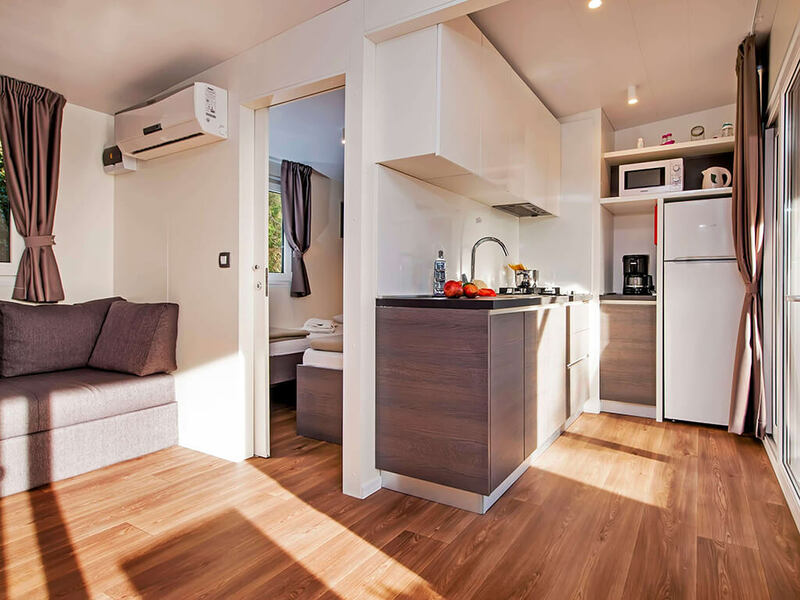 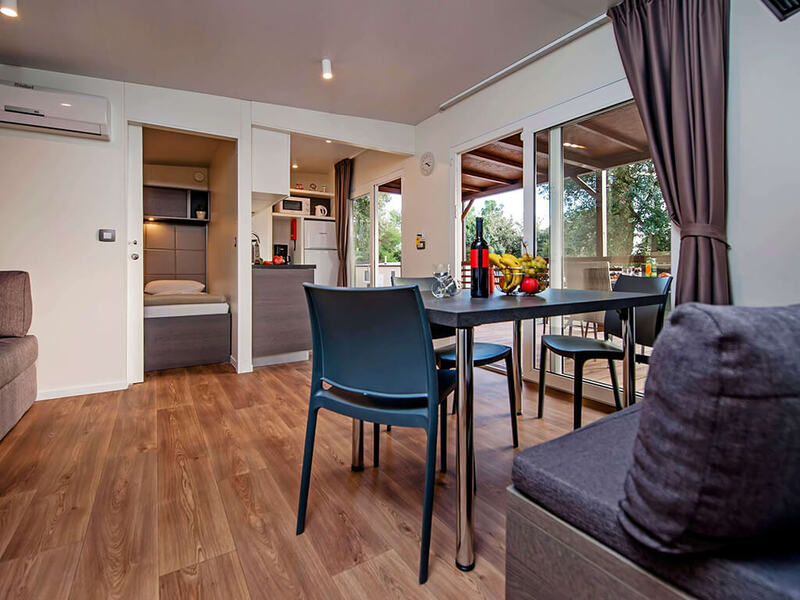 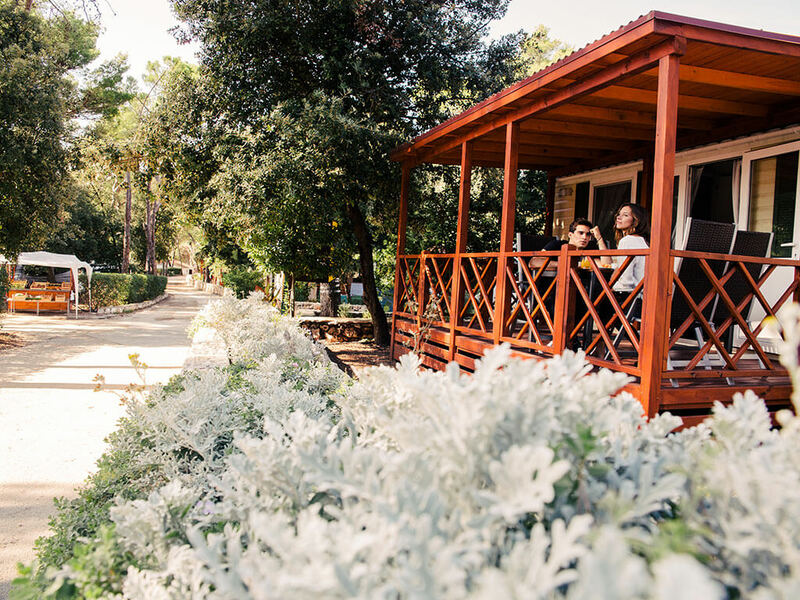 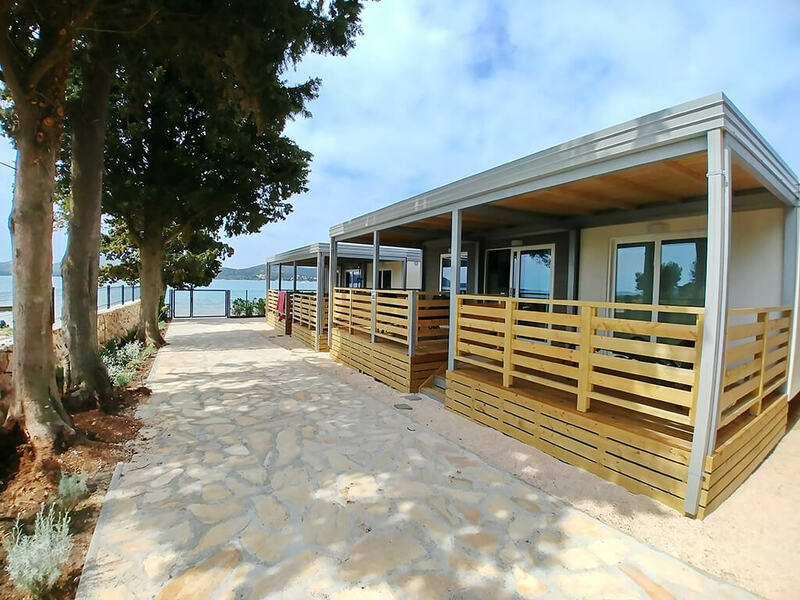 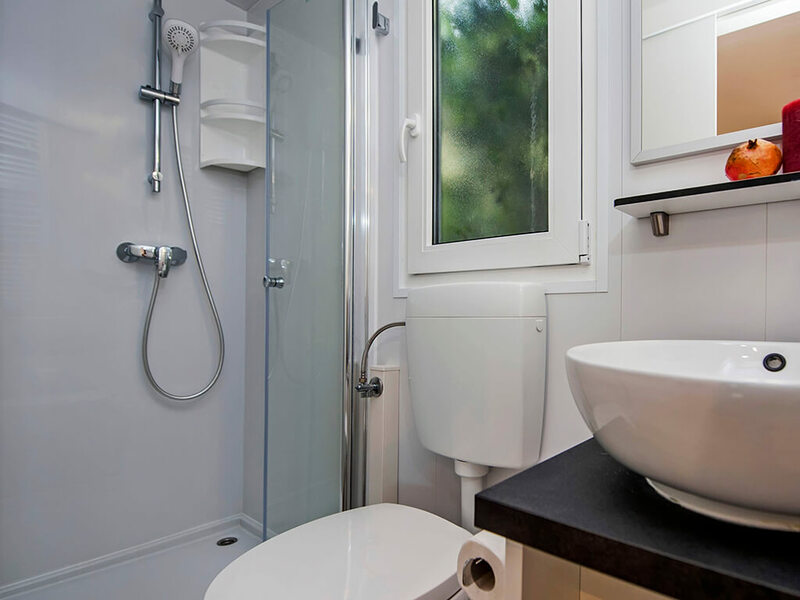 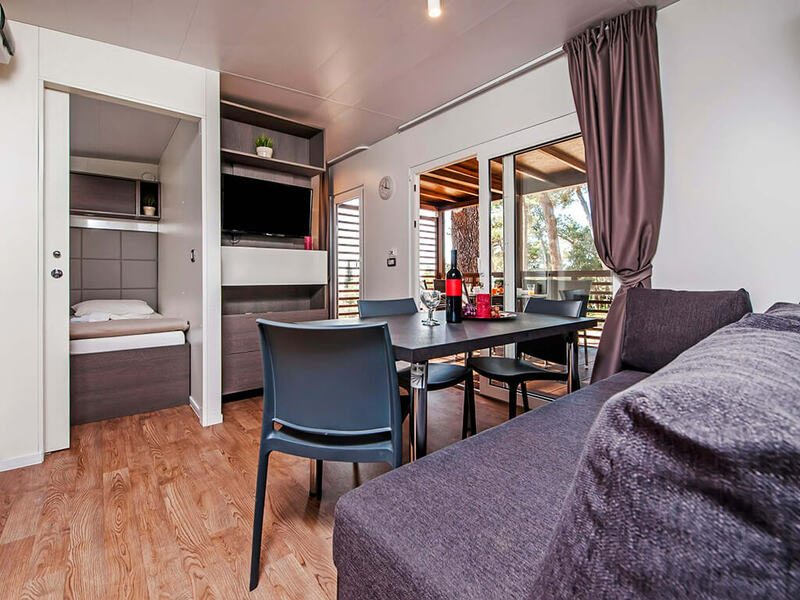 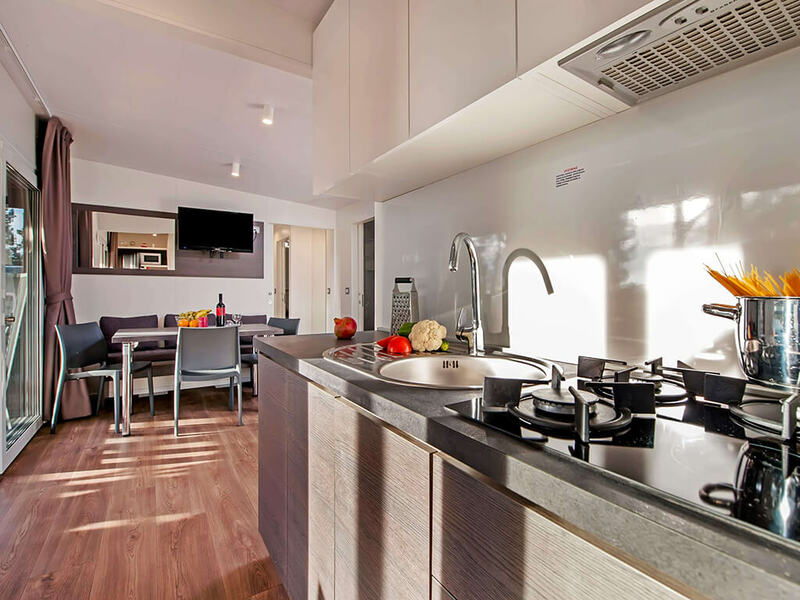 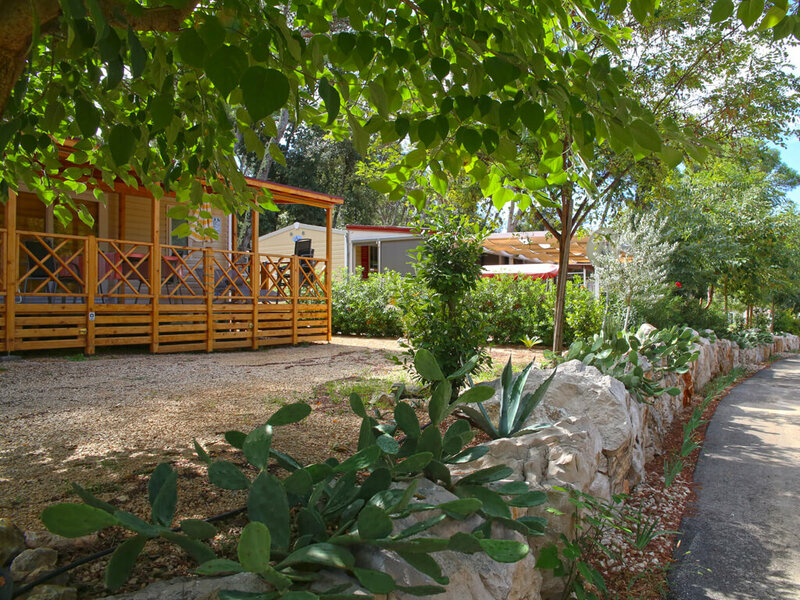 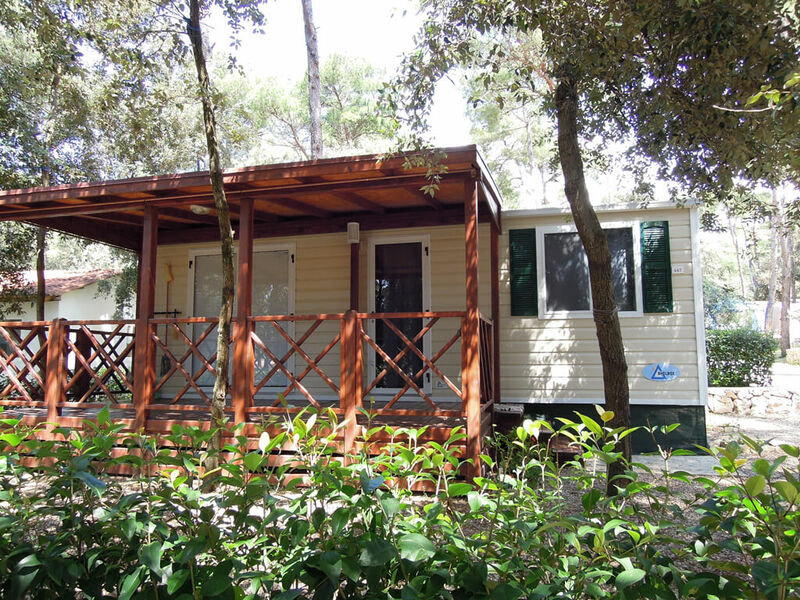 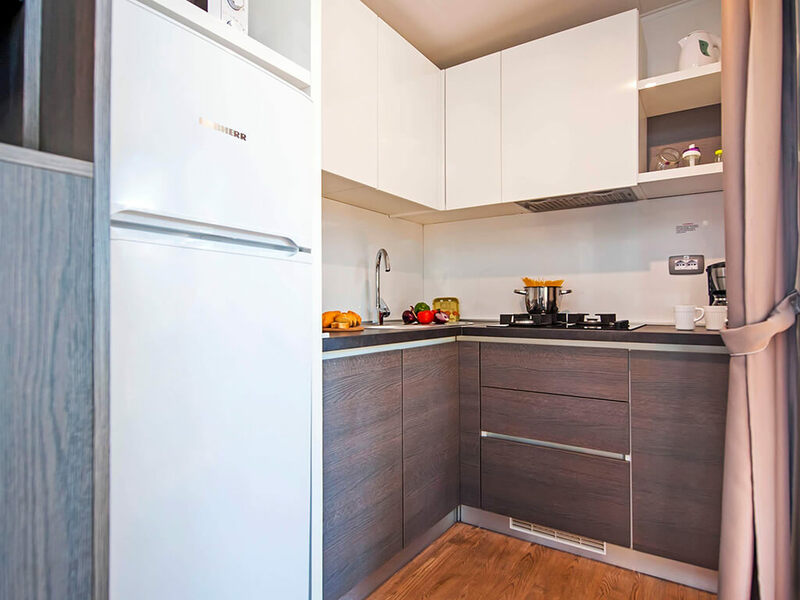 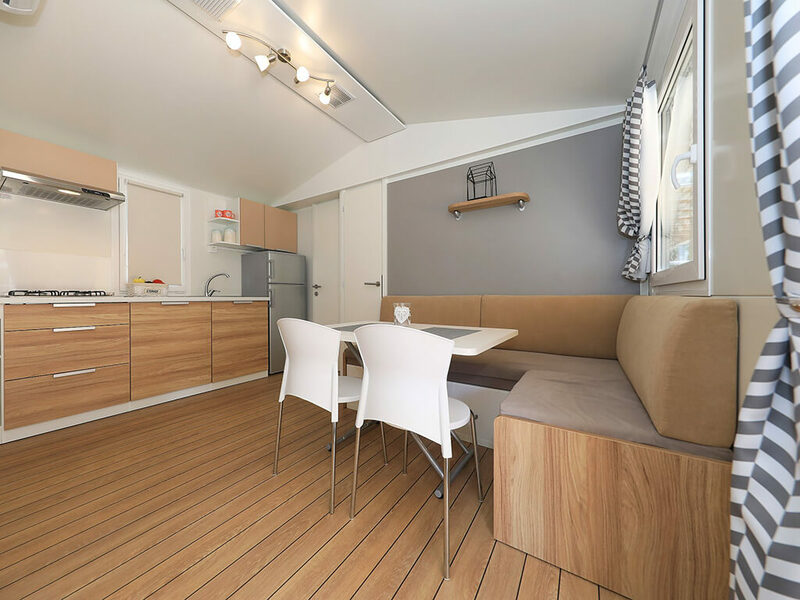 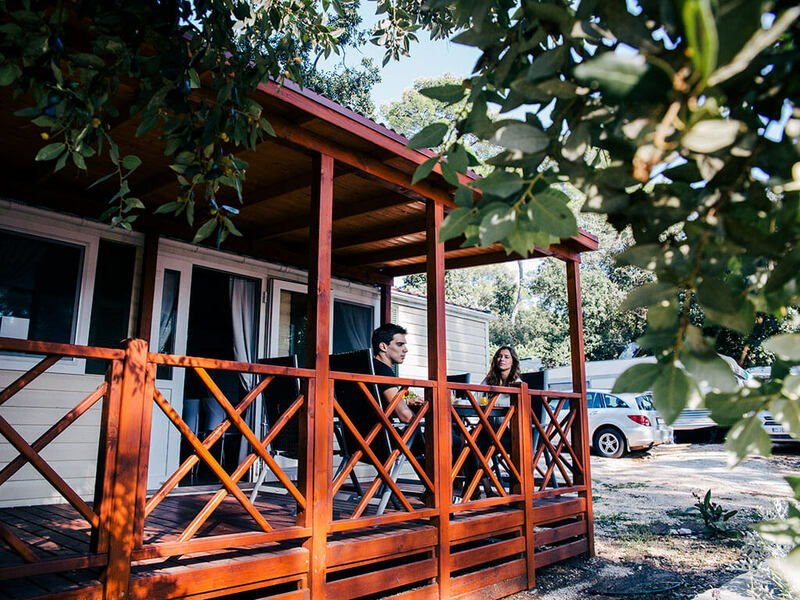 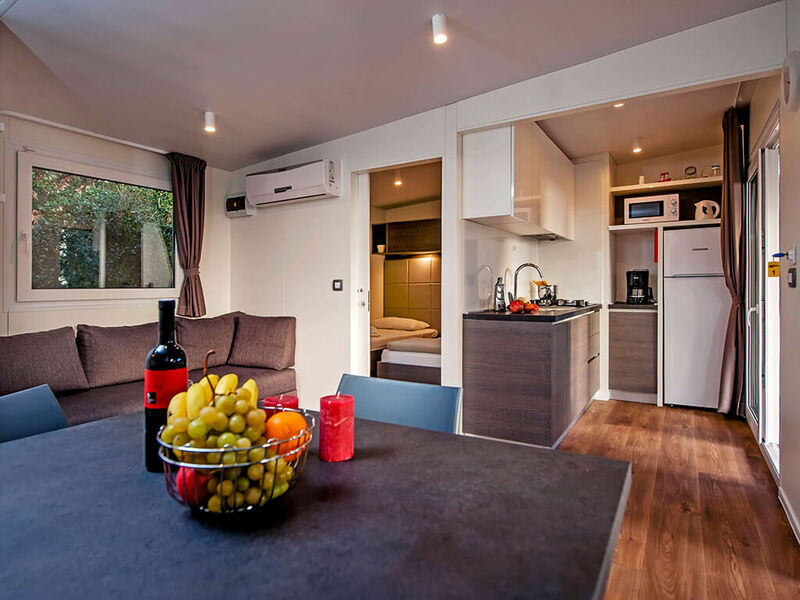 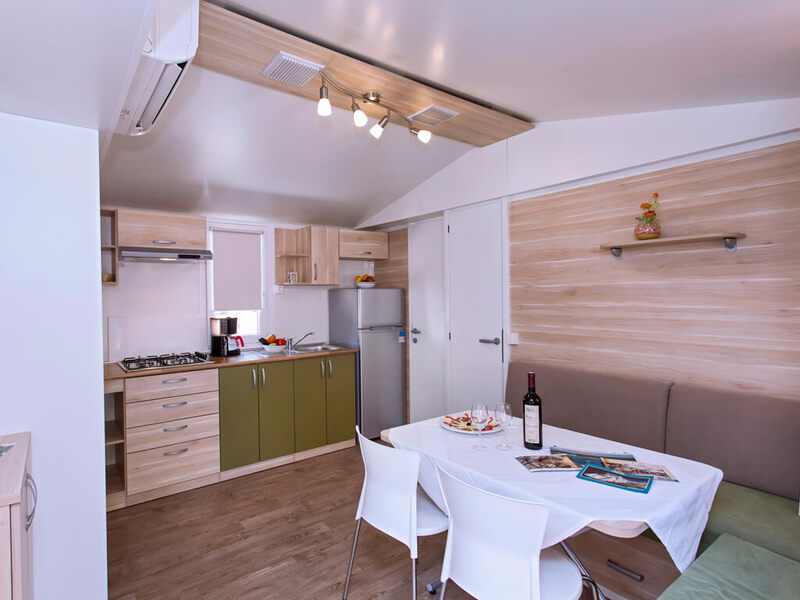 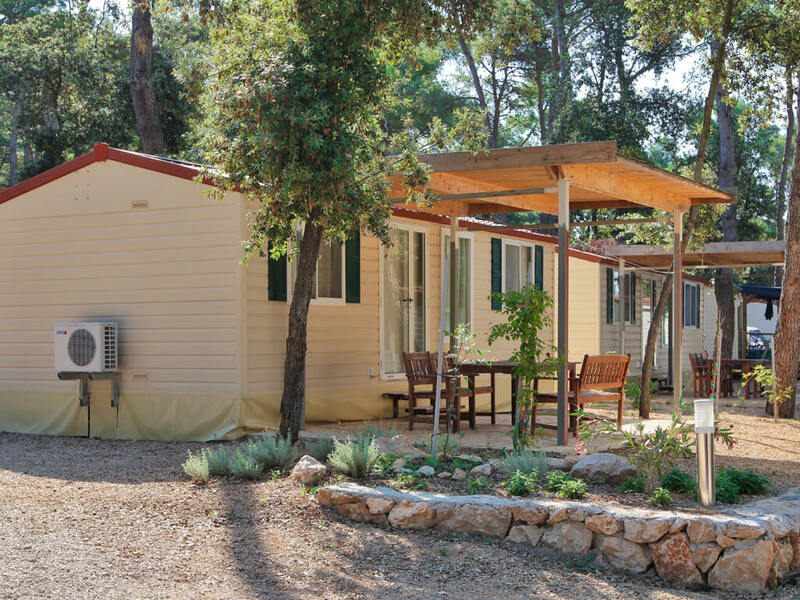 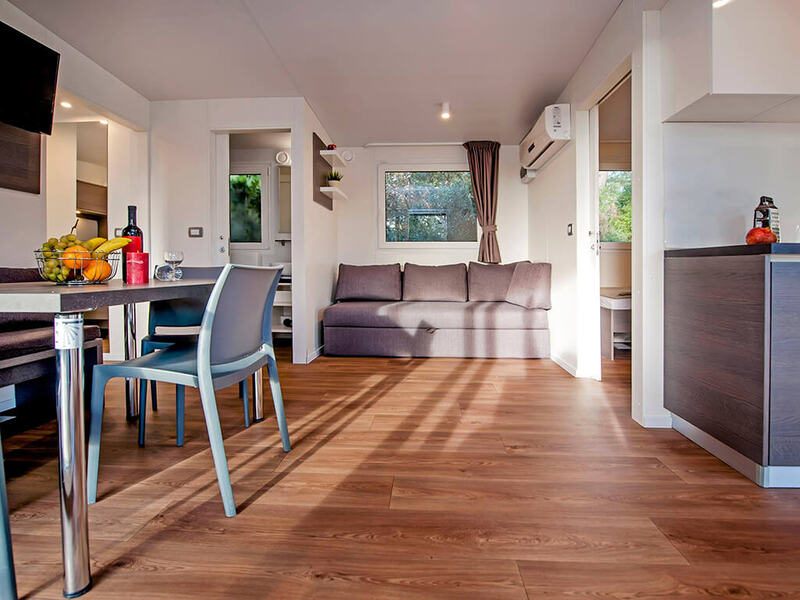 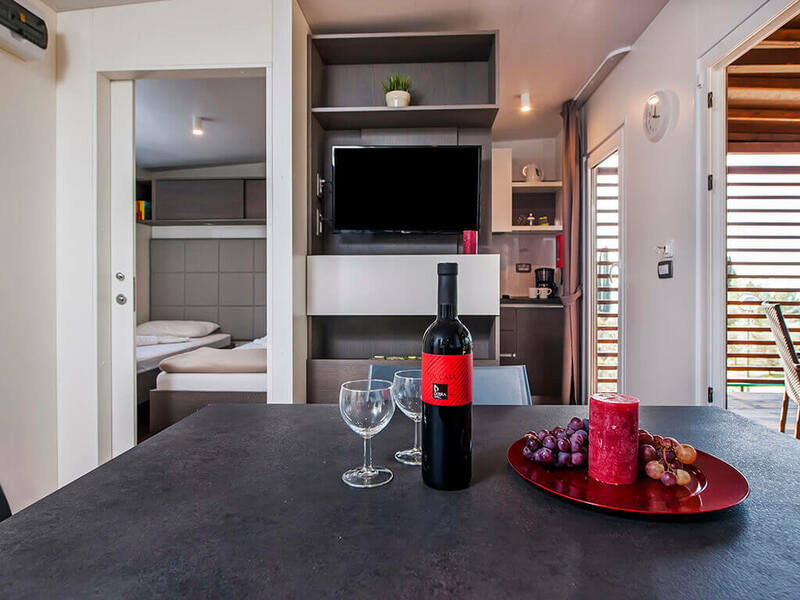 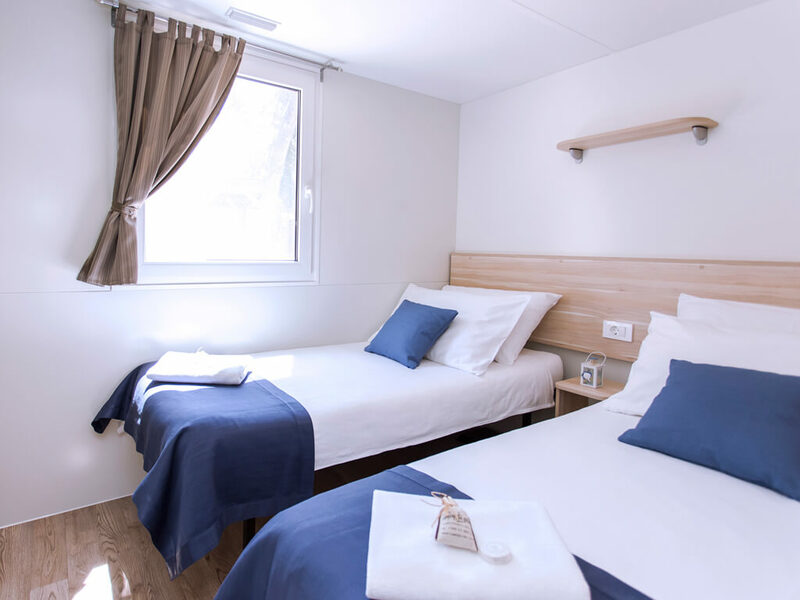 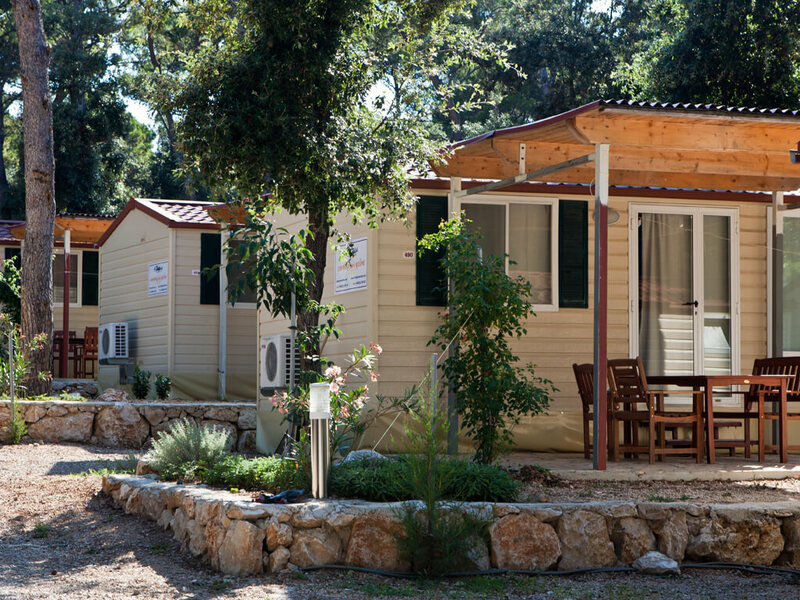 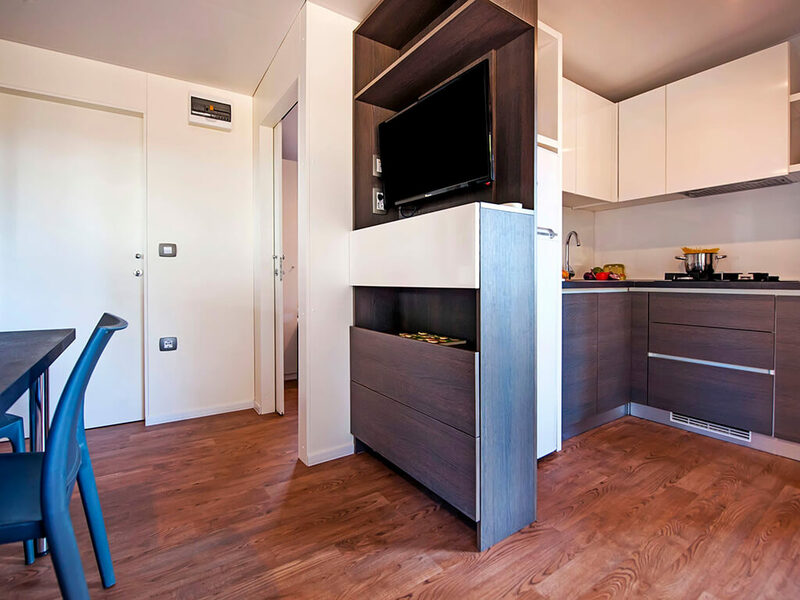 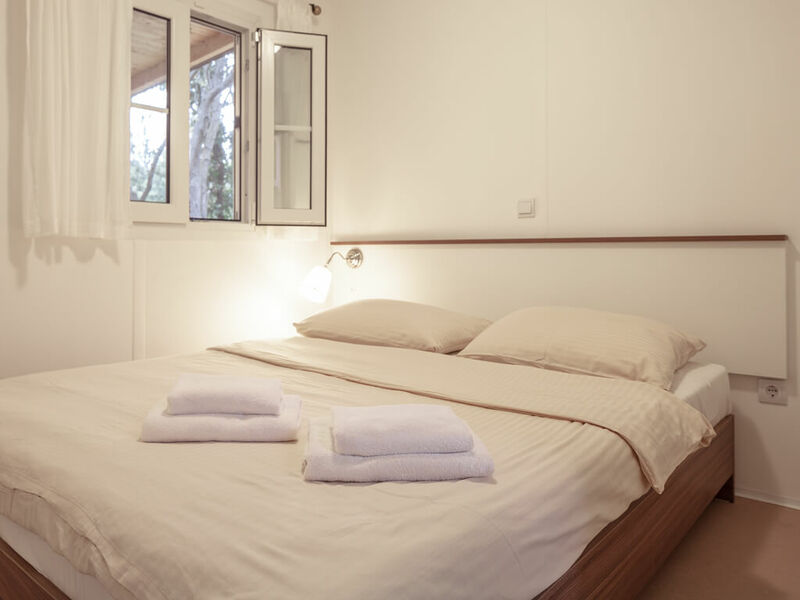 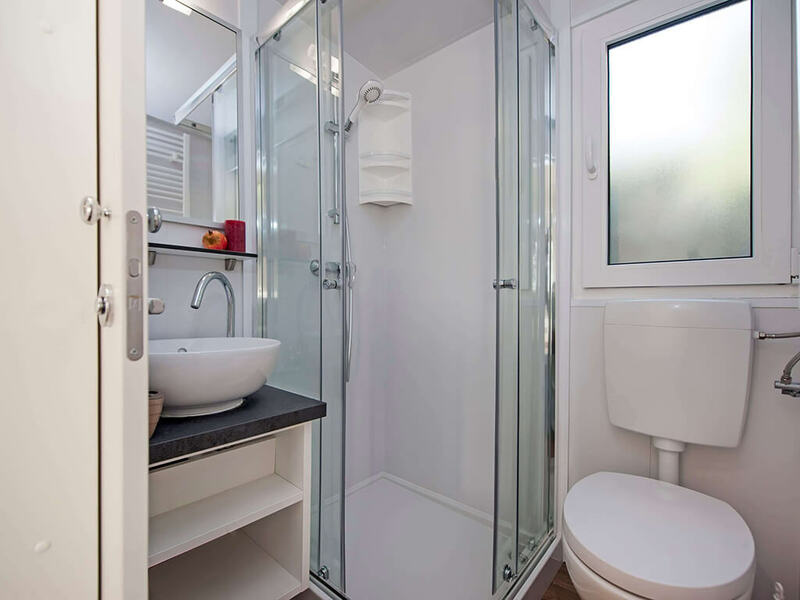 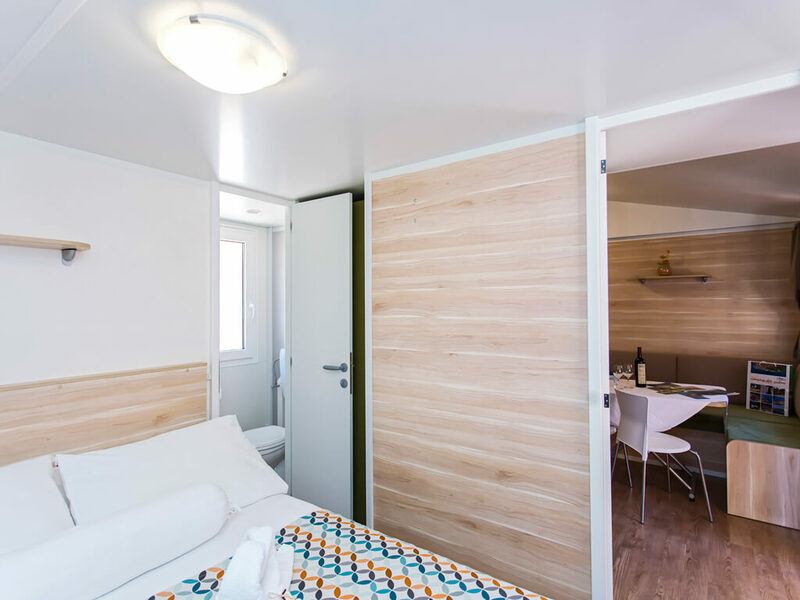 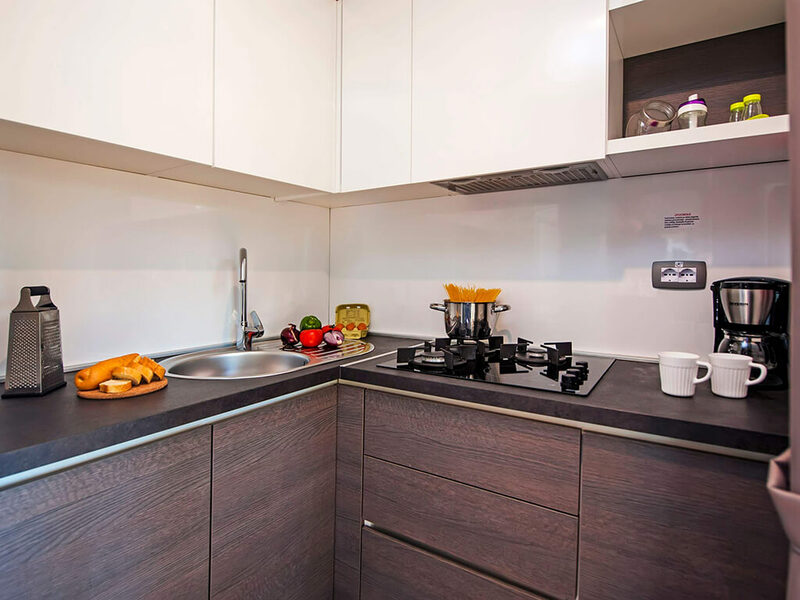 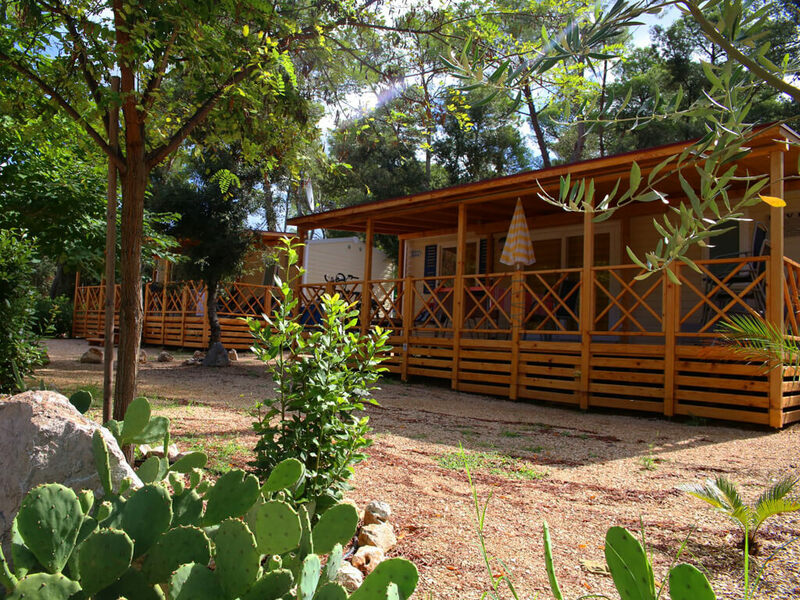 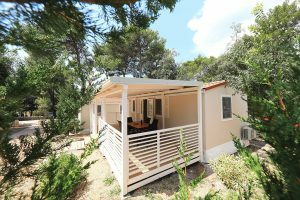 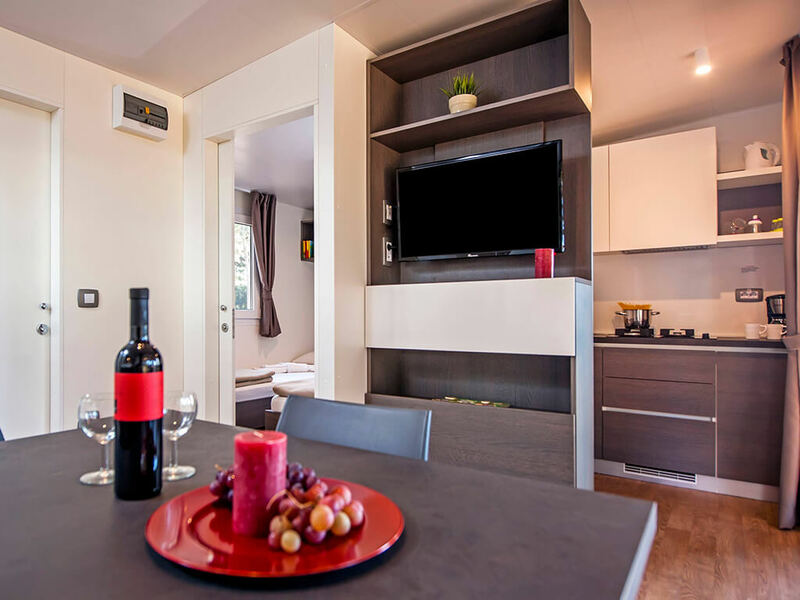 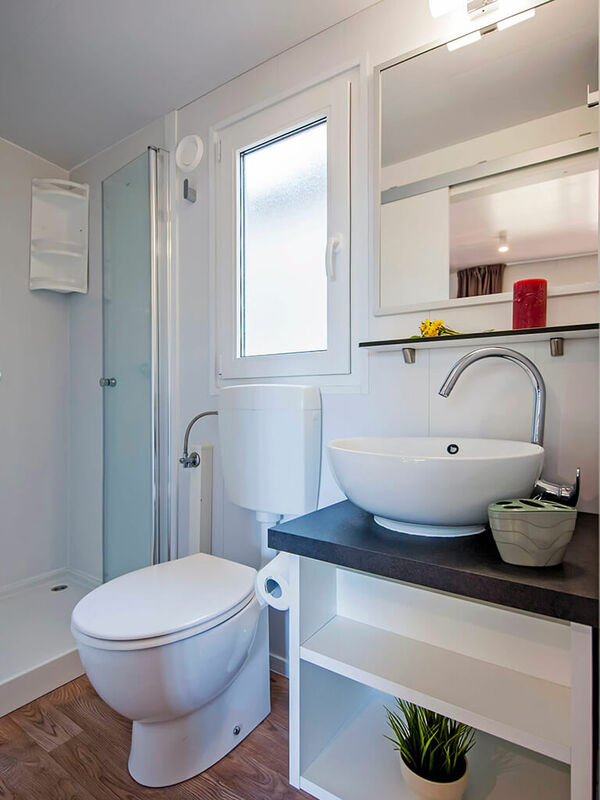 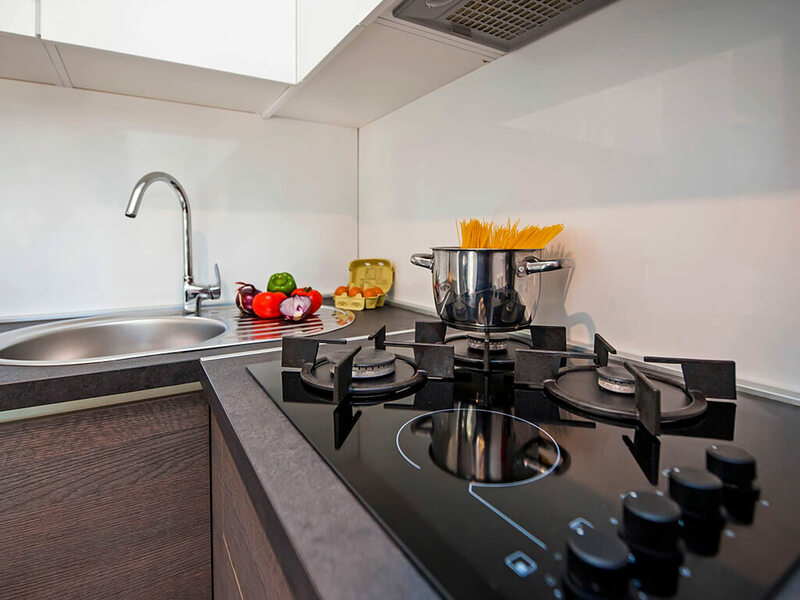 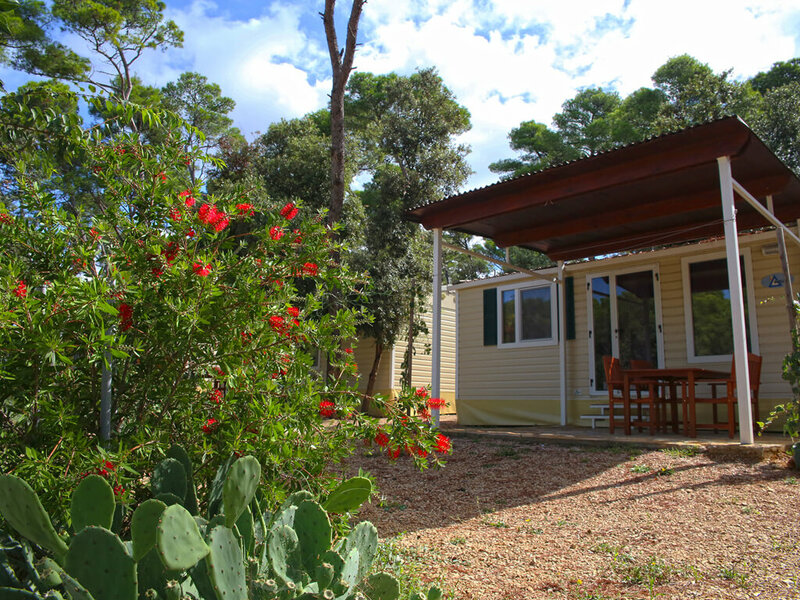 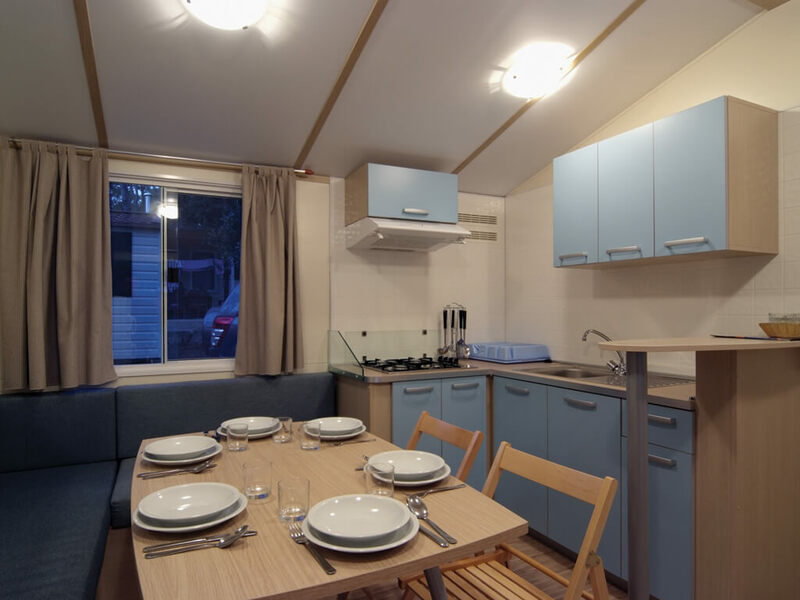 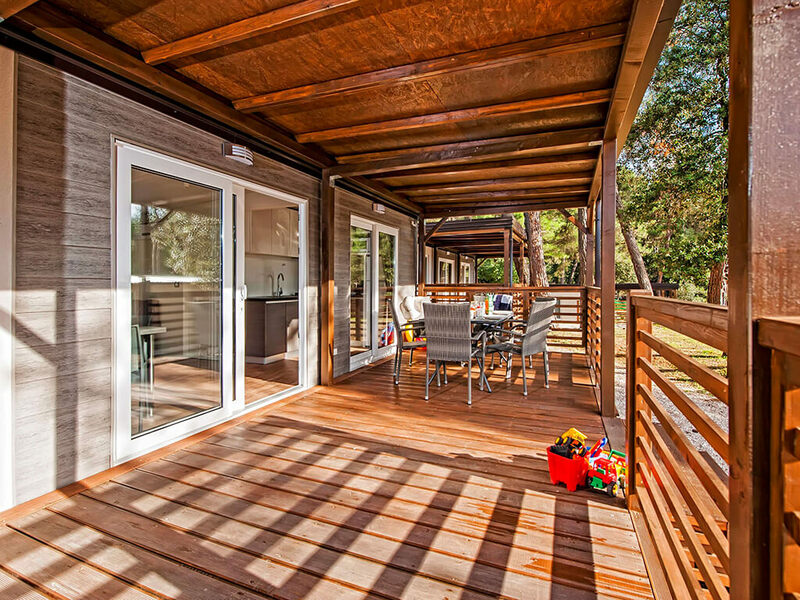 Spread around the campsite pine tree forest, the mobile homes in Biograd na Moru are equipped with two bedrooms, two bathrooms, a kitchen with kitchen appliances, a sitting room with a SAT-TV and a terrace with a seating set. 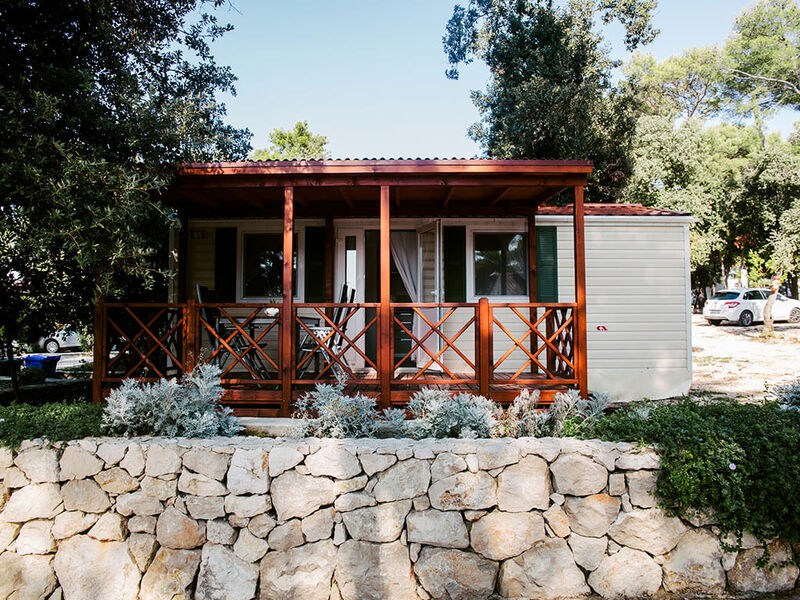 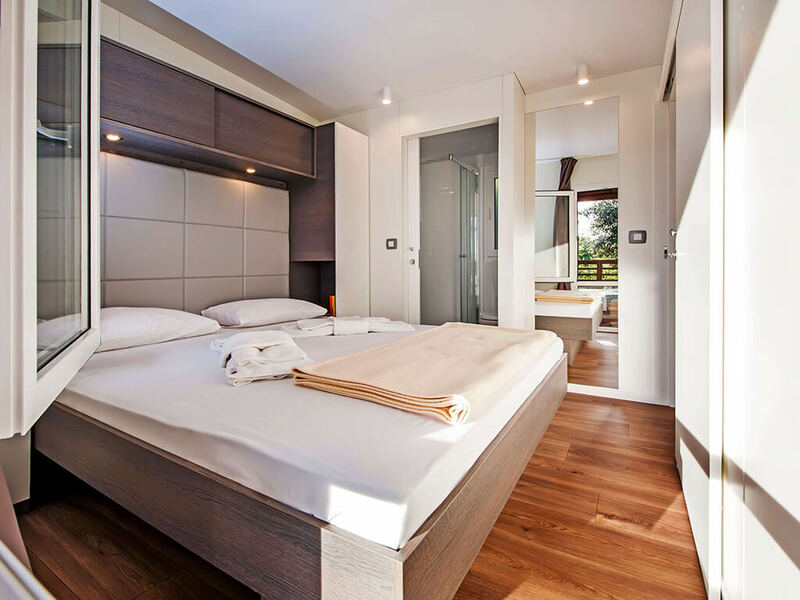 Some of them are situated in the close vicinity of the sea, while the others are at some distance from the beach and located in intimate Mediterranean greenery. 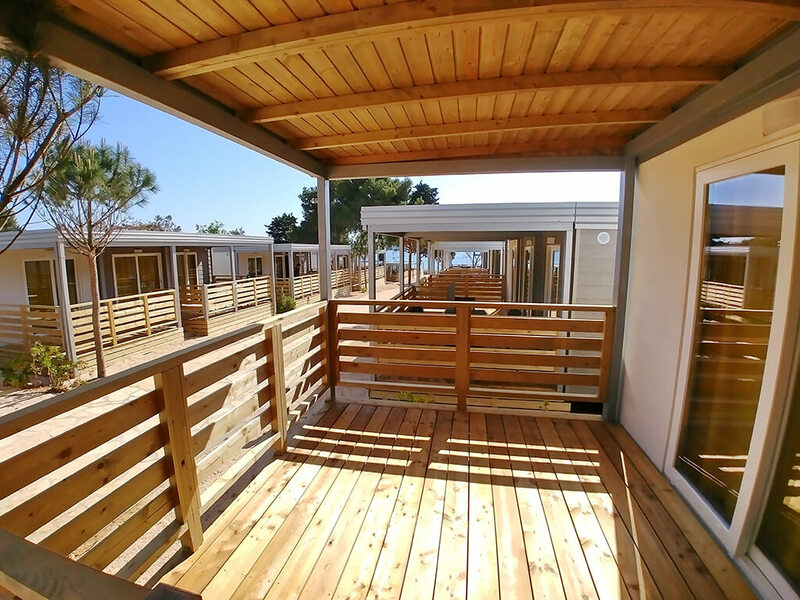 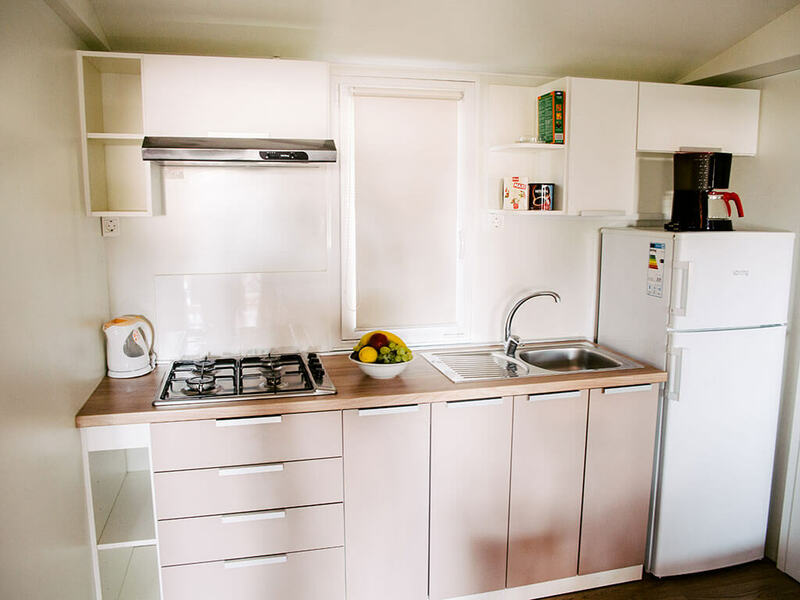 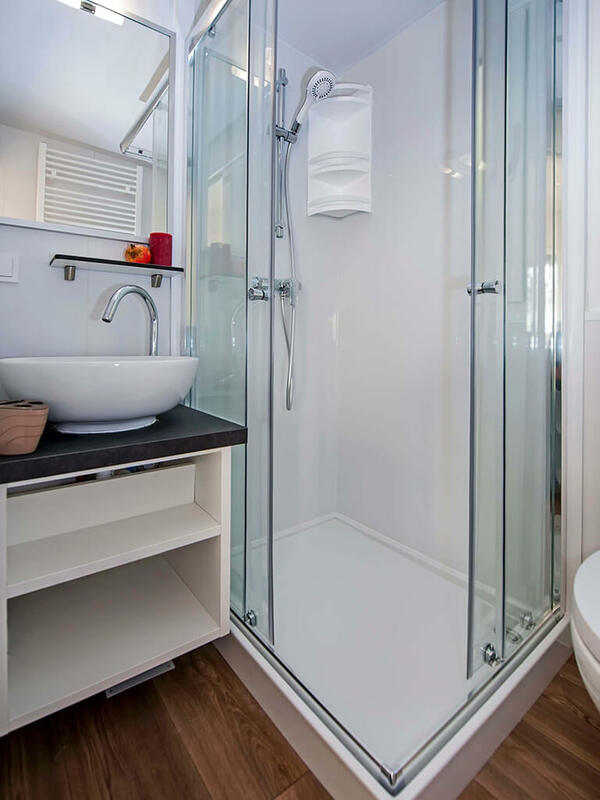 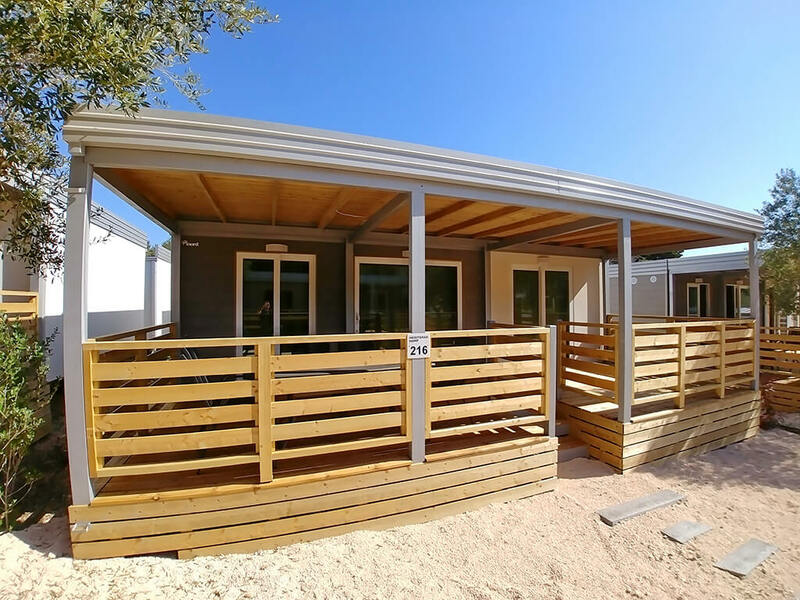 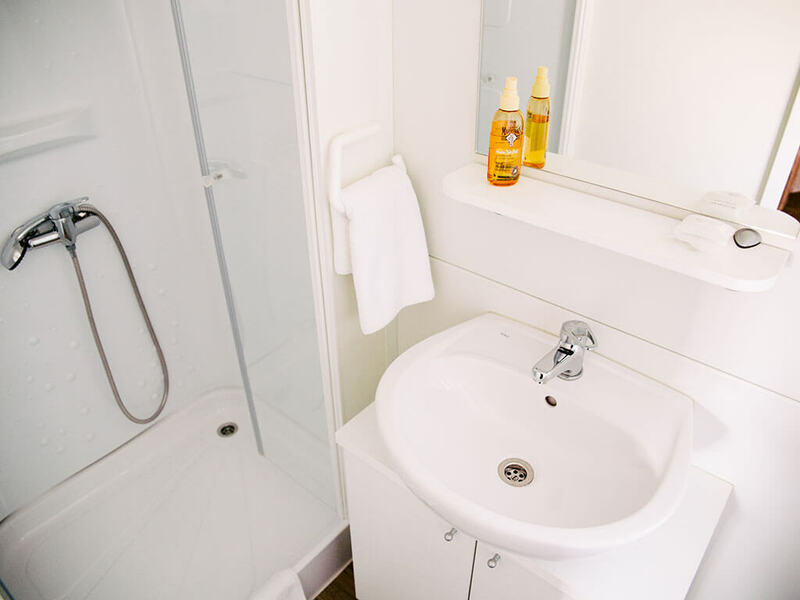 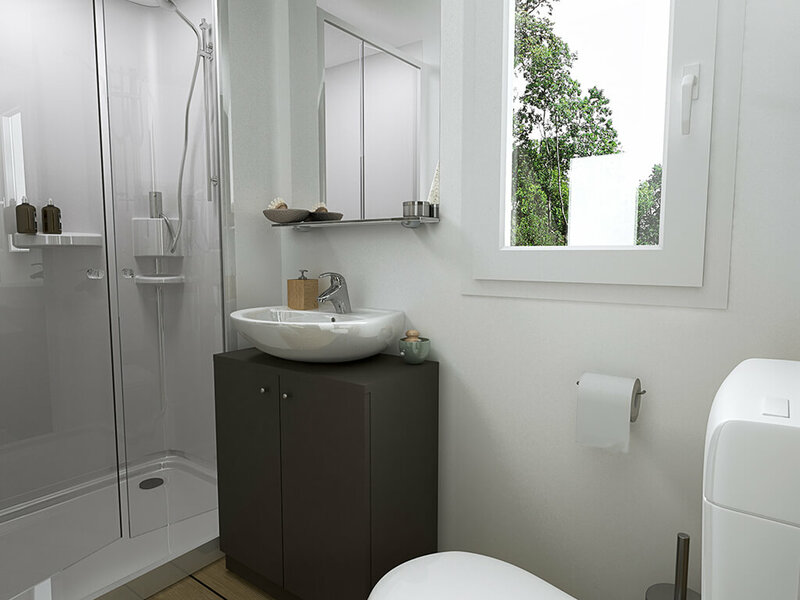 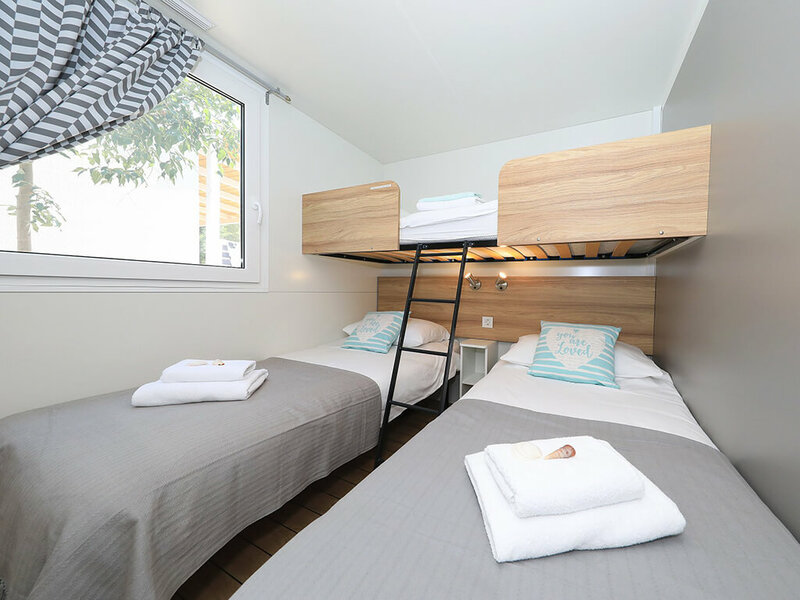 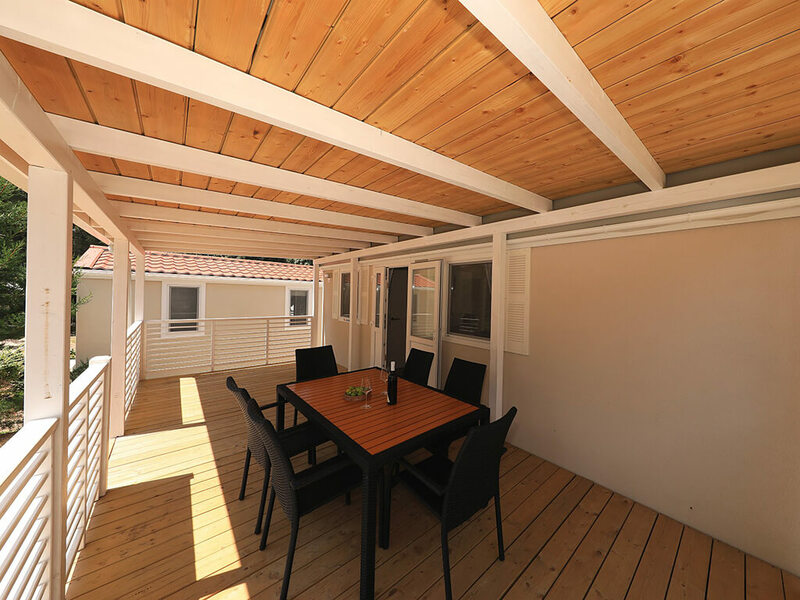 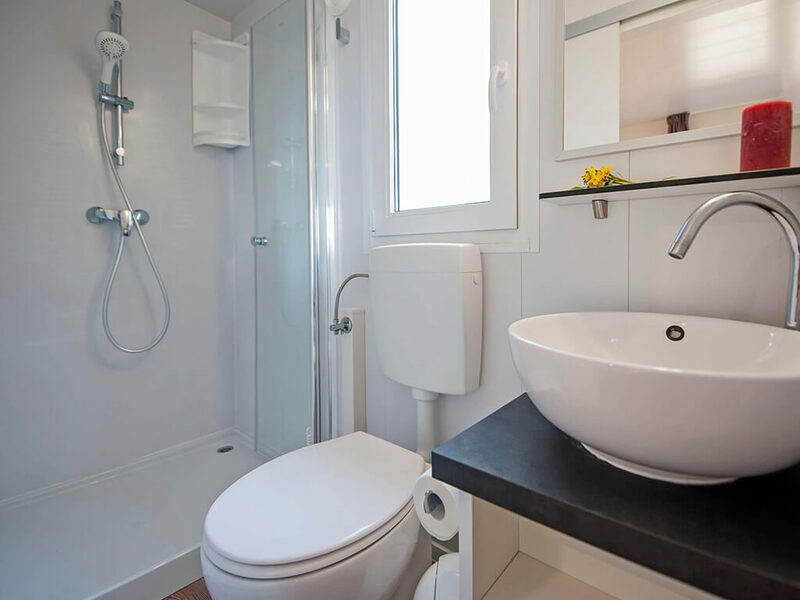 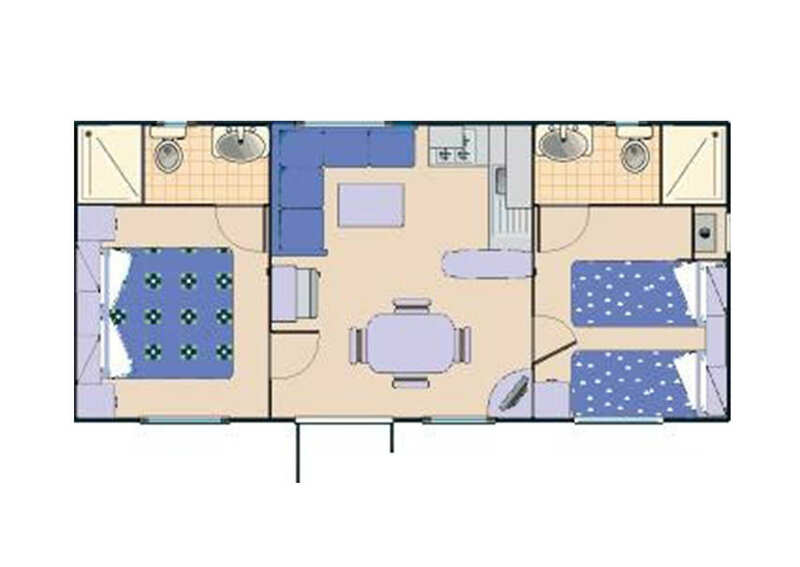 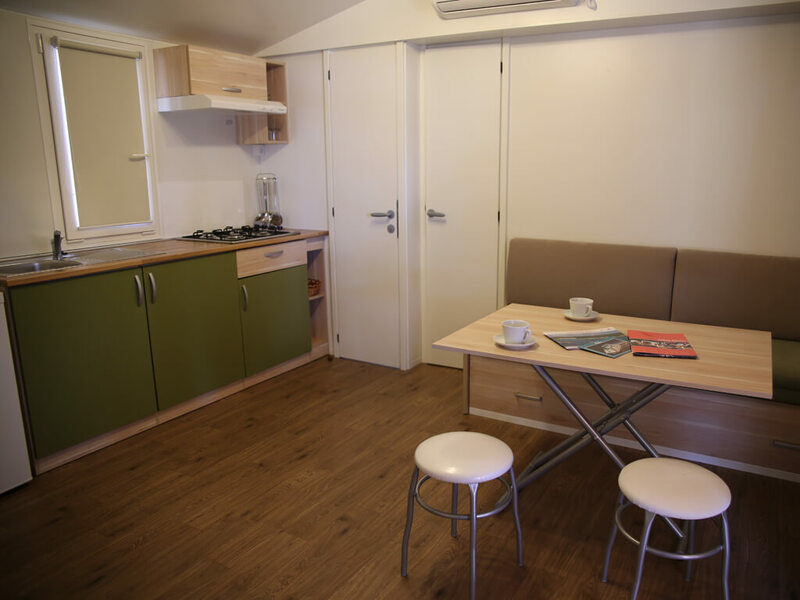 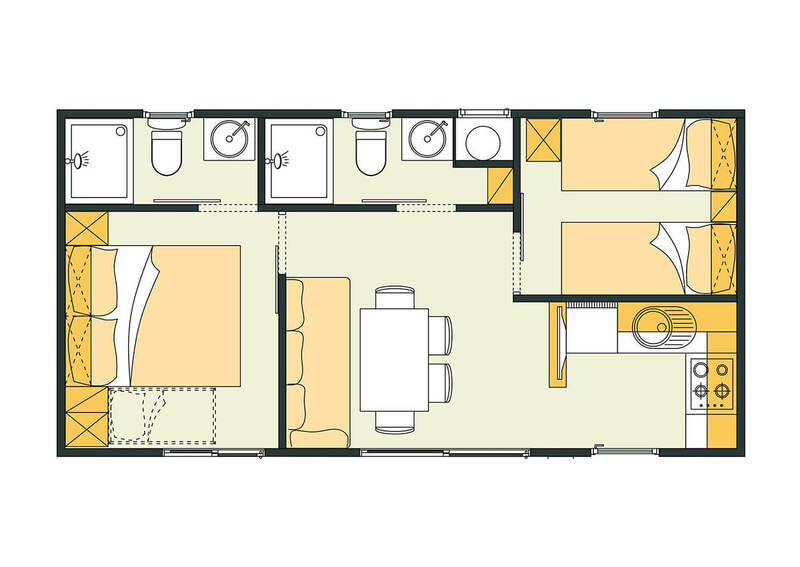 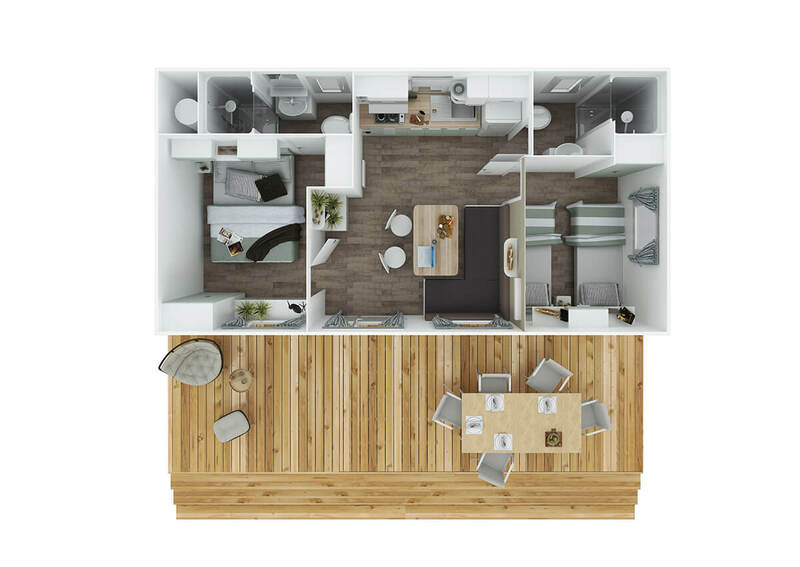 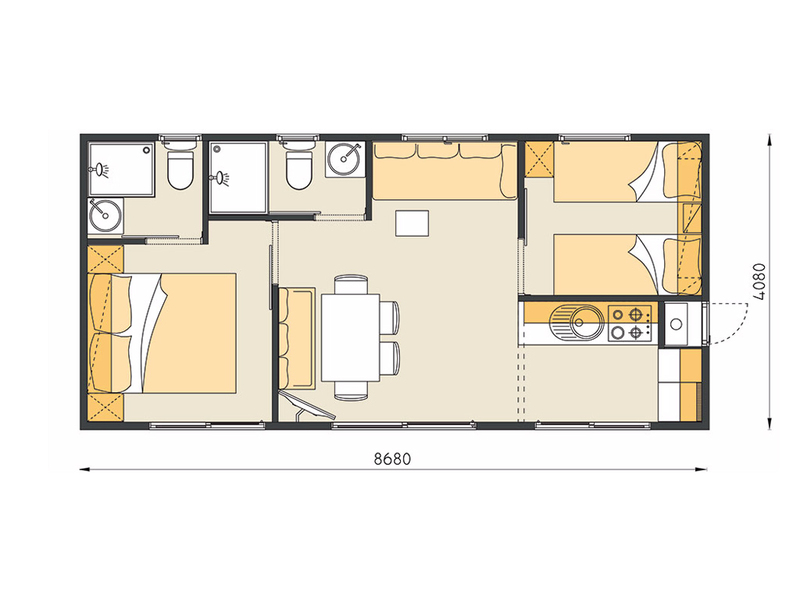 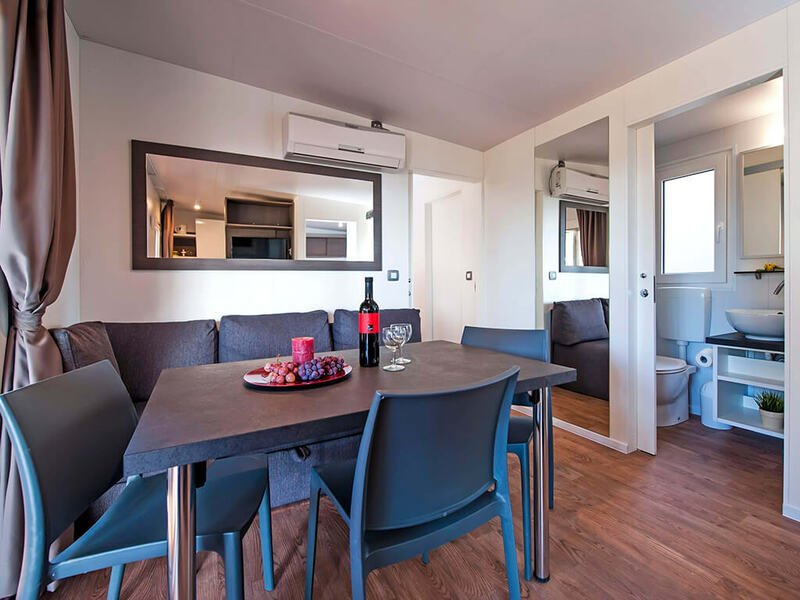 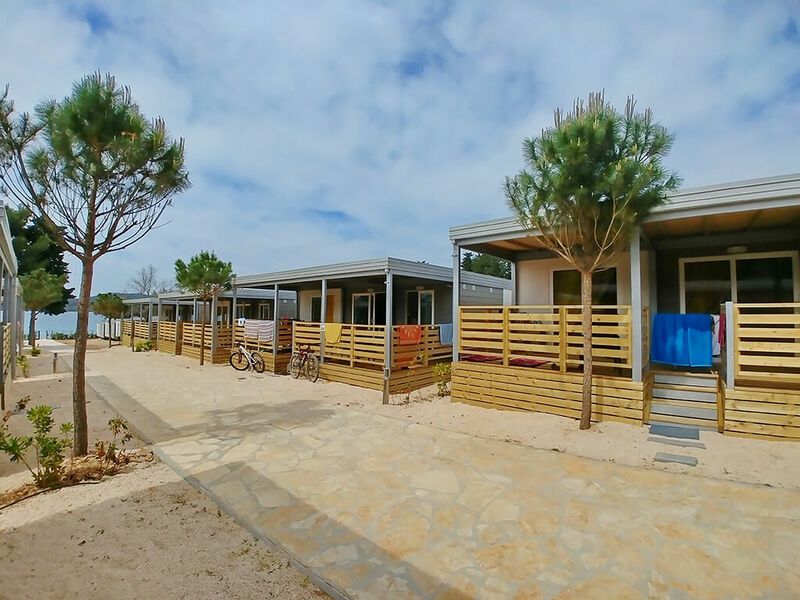 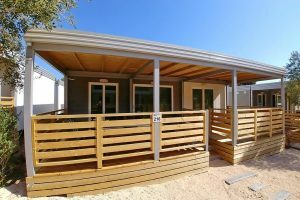 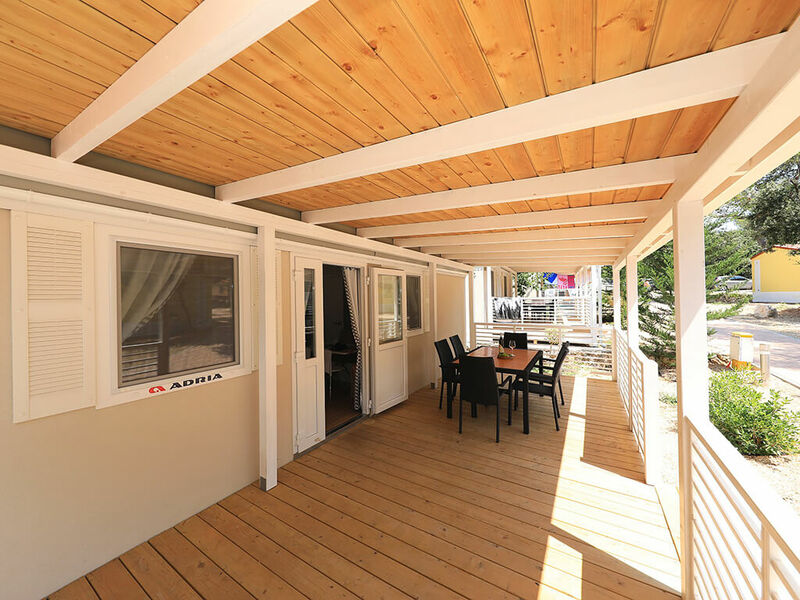 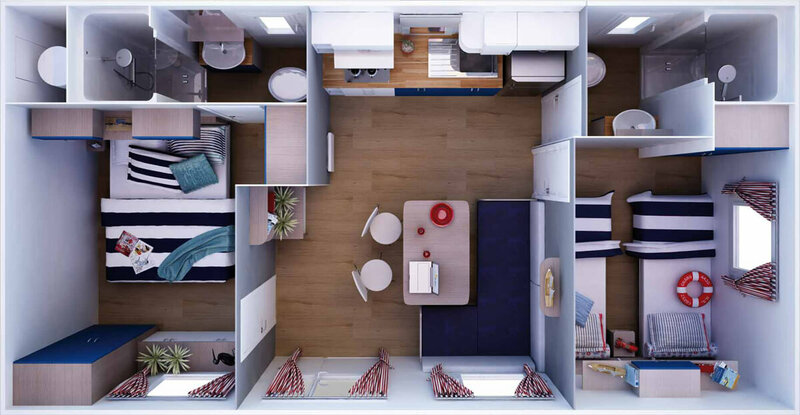 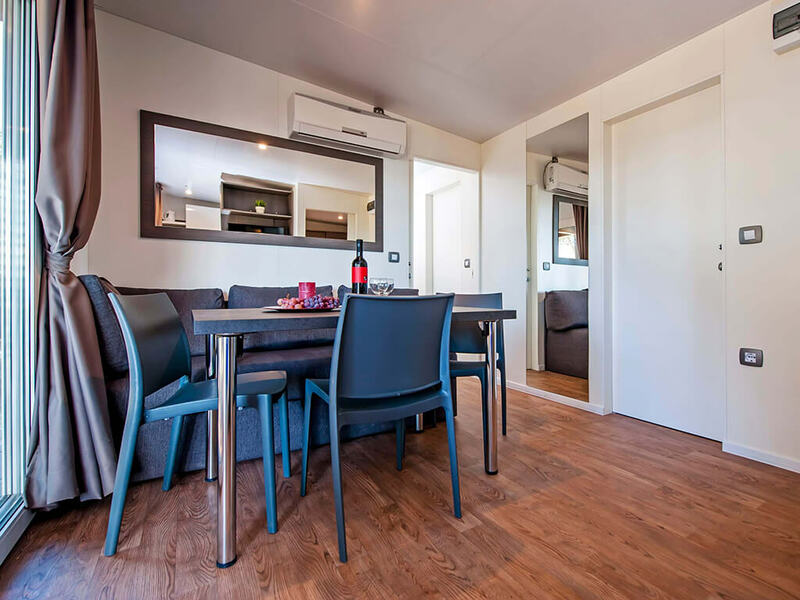 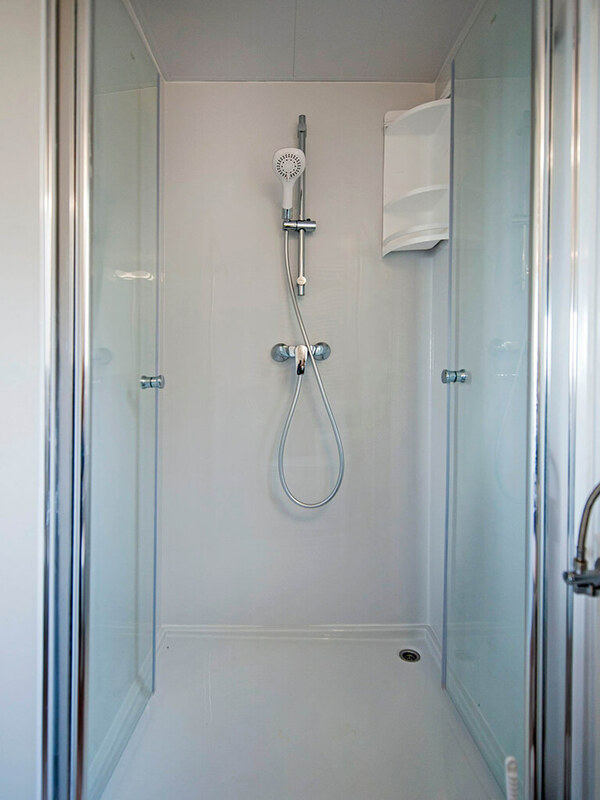 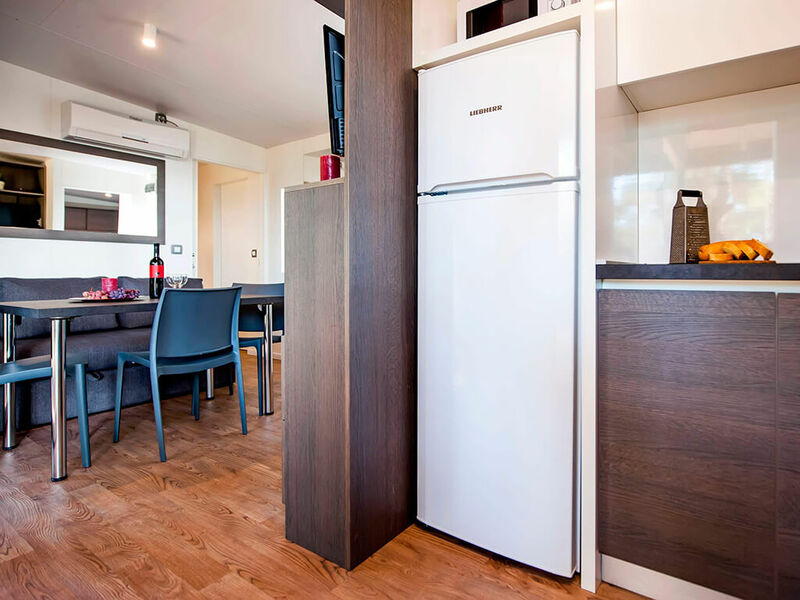 Apart from the vicinity of the town and a sandy beach, these mobile homes are also characterised by more favourable rental prices and a possibility of stays with pets. 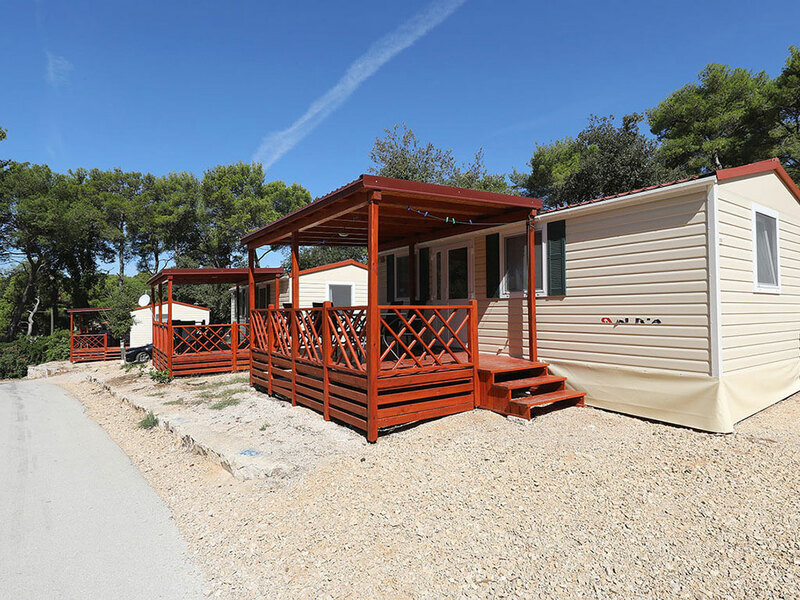 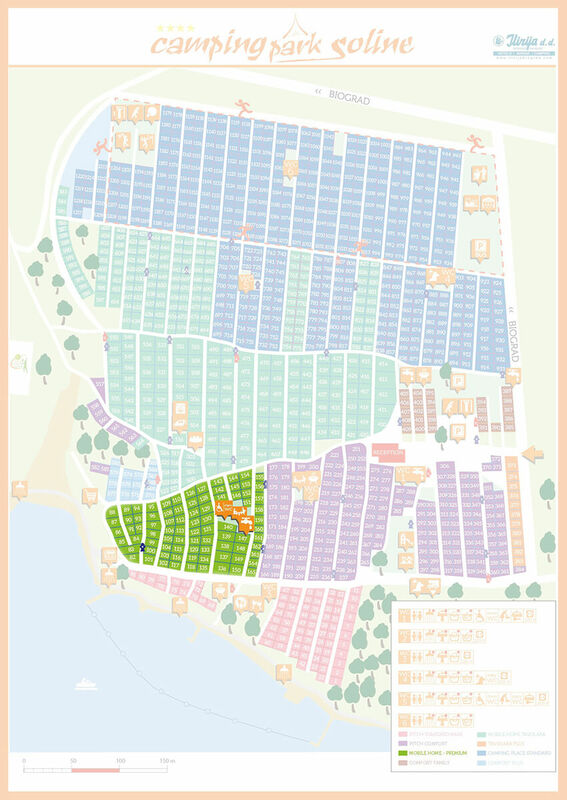 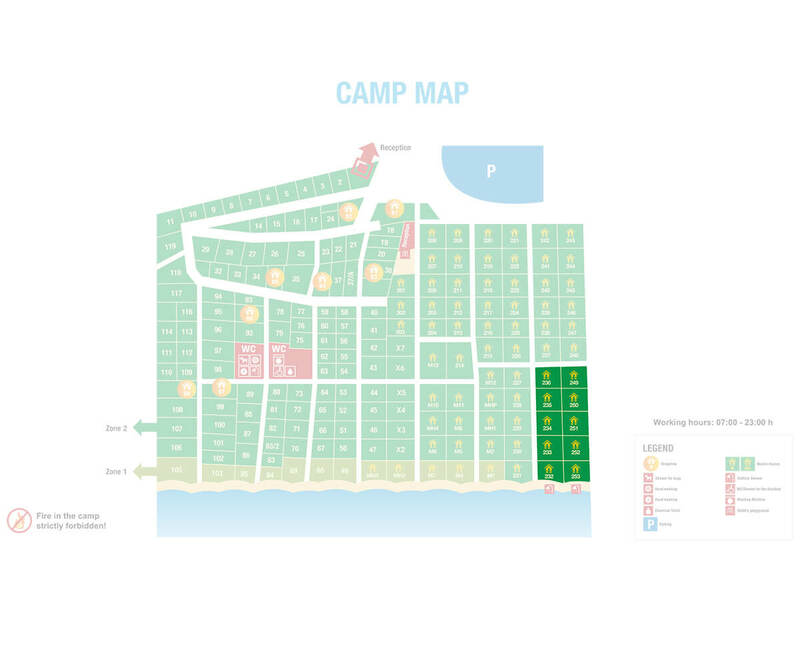 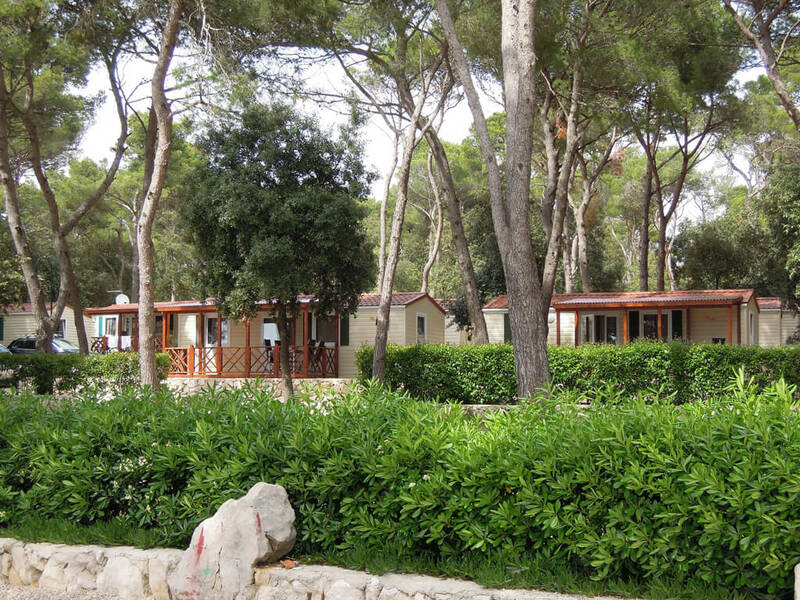 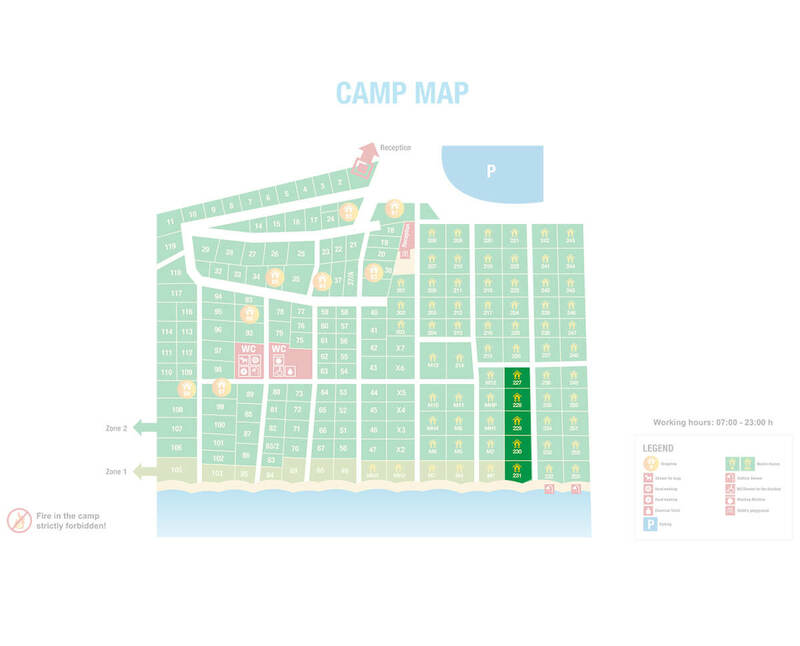 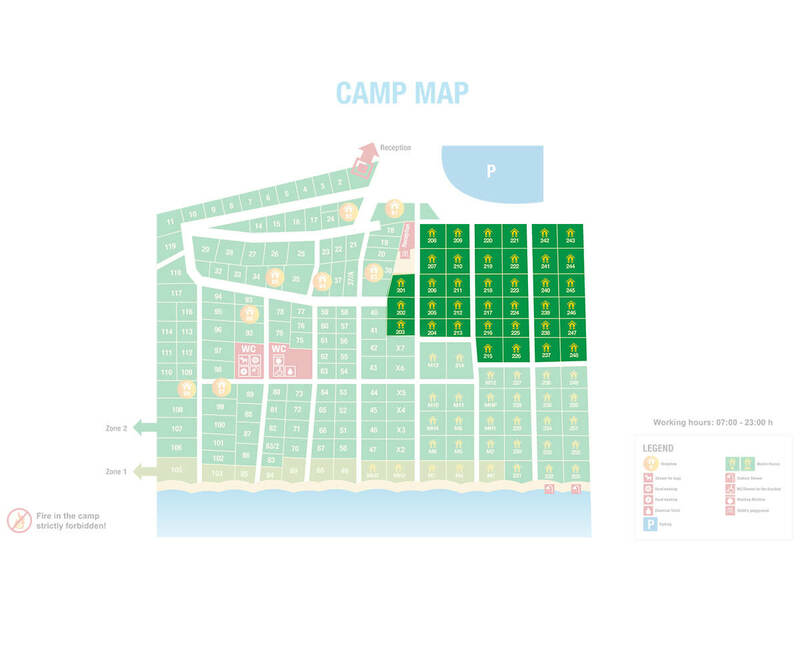 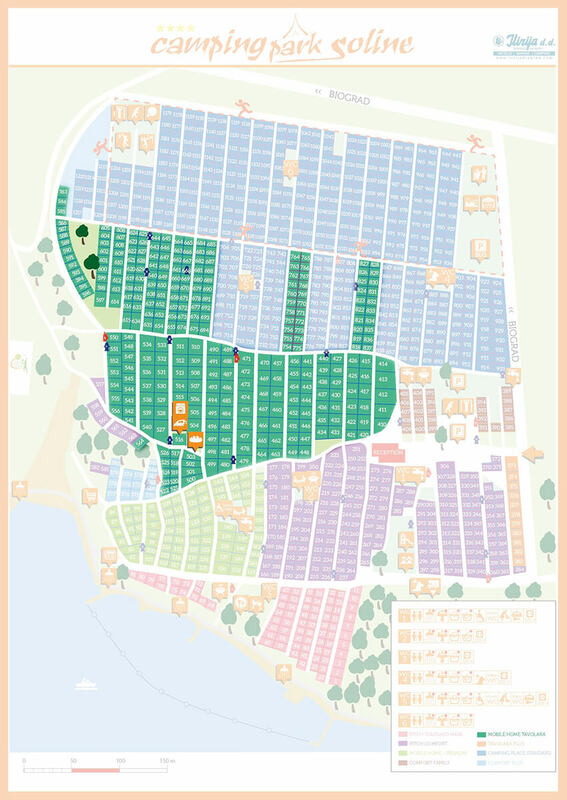 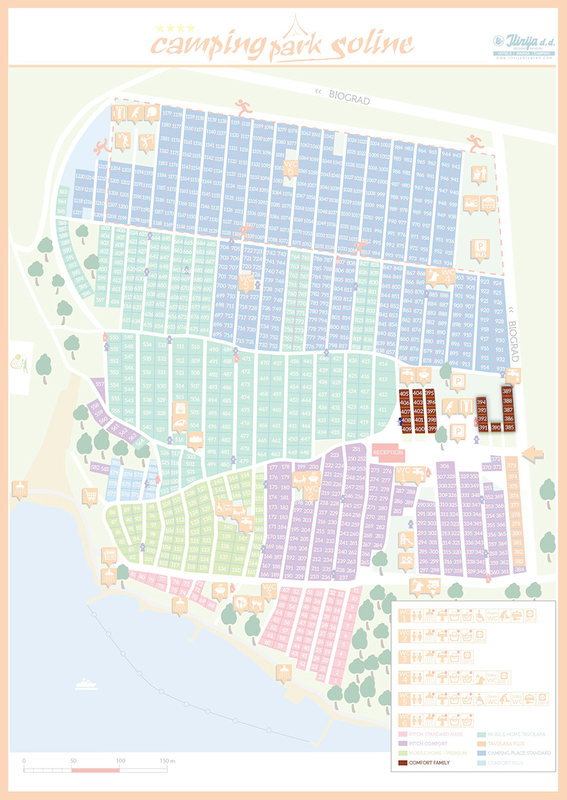 Enjoy all the benefits of camping – look at all mobile homes in Biograd na Moru in one place!